Ambitious. 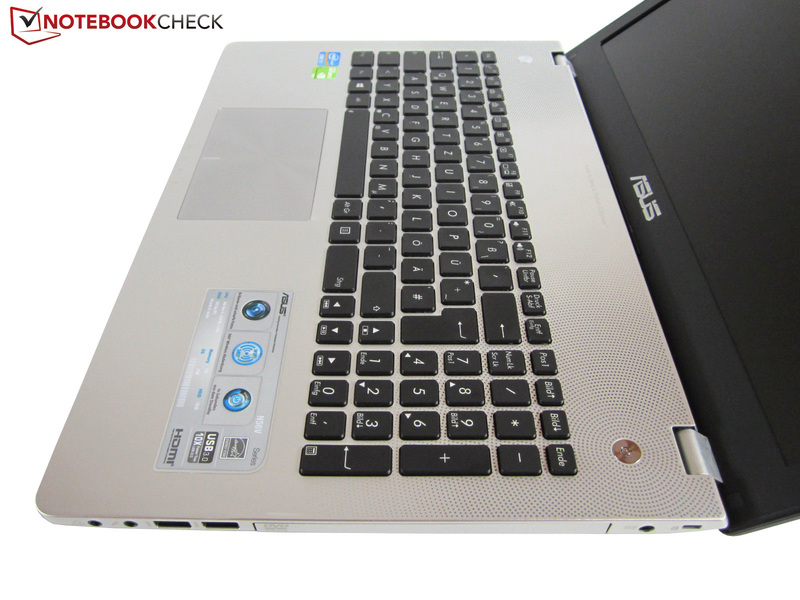 Metal surfaces, backlit keyboard, a Full HD screen and an external subwoofer lets Asus' N56VB stand out from the competition in many aspects. 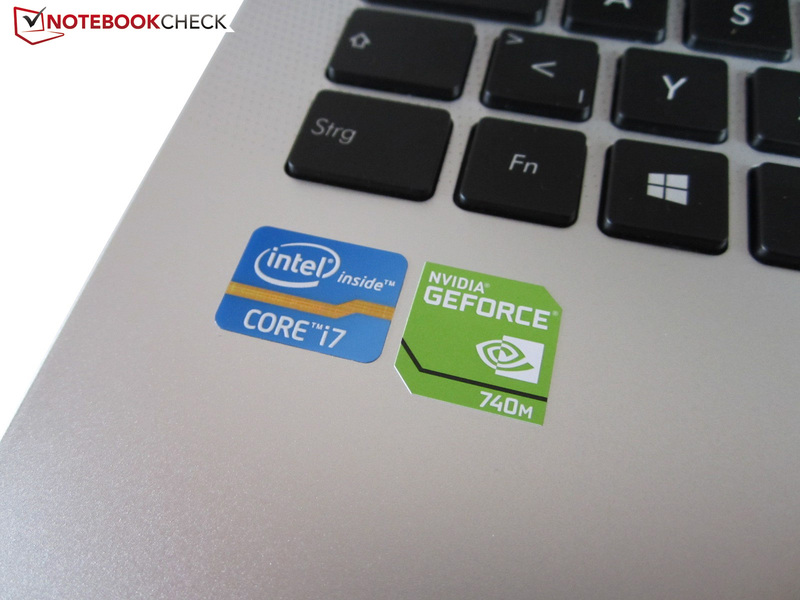 A contemporary midrange GPU works under the 15-inch, all-round laptop's hood in the form of the GeForce GT 740M. Find out whether the graphics card is deceptive or whether it is really a new product in this review. 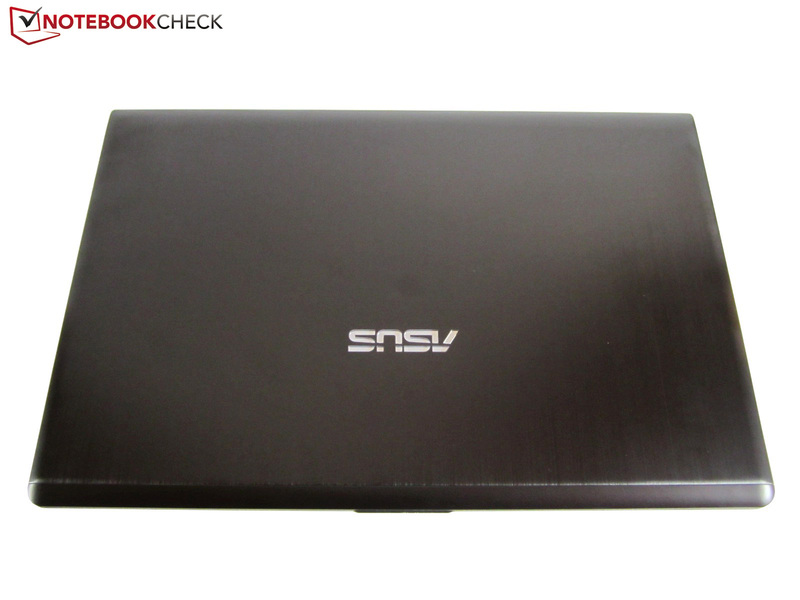 Asus' N56VB was already available in several configurations shortly after its launch. 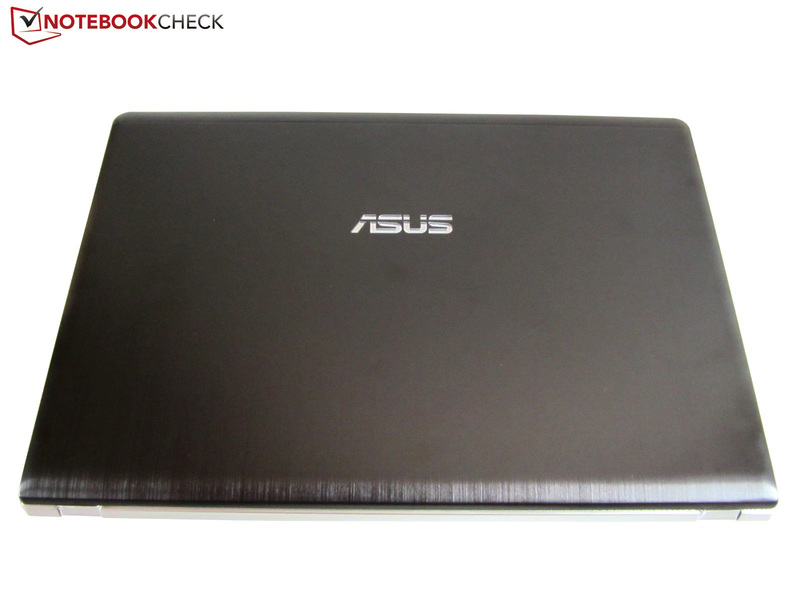 Depending on the model, the processor is either the dual-core i5-3230M (2.6-3.2 GHz) or the quad-core i7-3630QM (2.4-3.4 GHz). 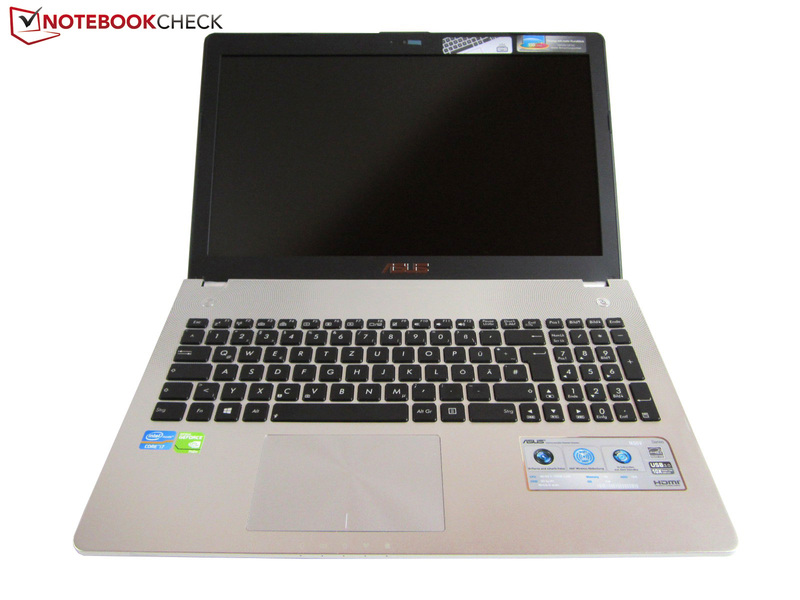 The CPU is accompanied by four to a maximum of eight GB DDR3 RAM (1600 MHz) and a 500, 750 or 1000 GB HDD (5400 rpm). 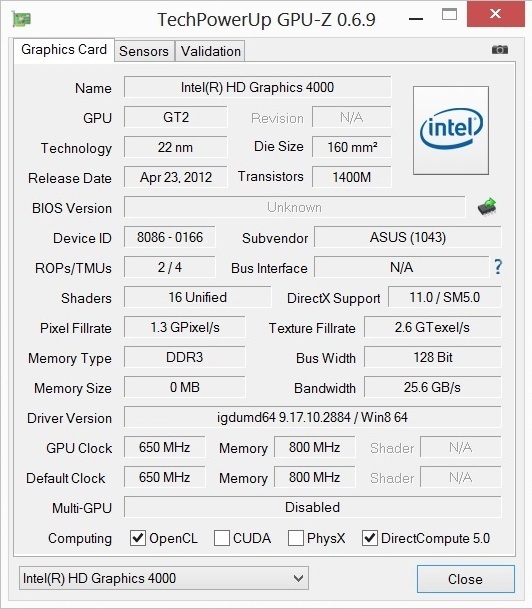 The GeForce GT 740M (2048 MB DDR3 VRAM) mentioned in the intro takes care of demanding graphic calculations. The different models show similarity in other things. 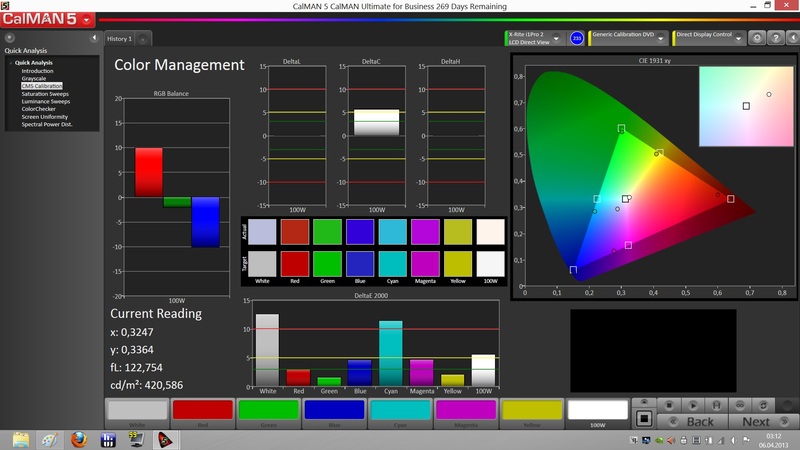 The matte screens have a resolution of 1920x1080 pixels and optical data carriers can be rendered via a DVD burner. 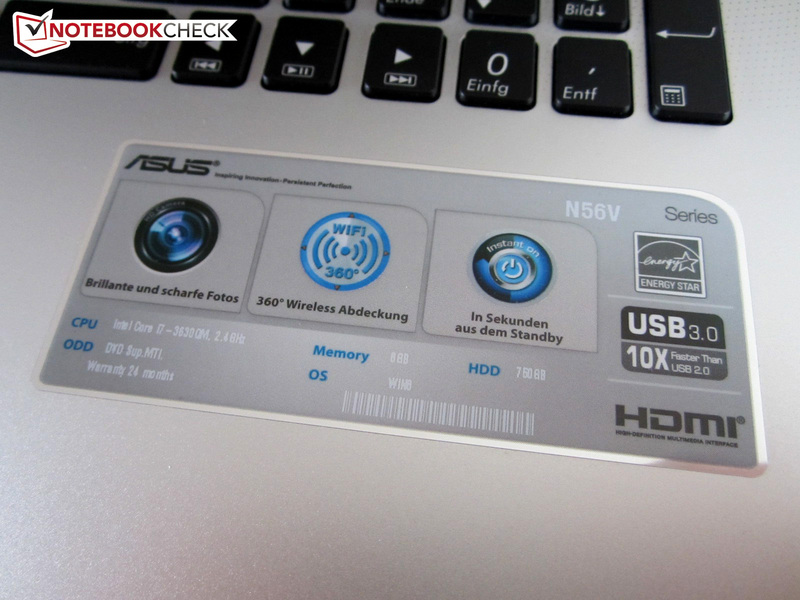 It is too bad that Asus does not use a Blu-ray drive despite the Full HD screen. The operating system does not reveal any surprises. 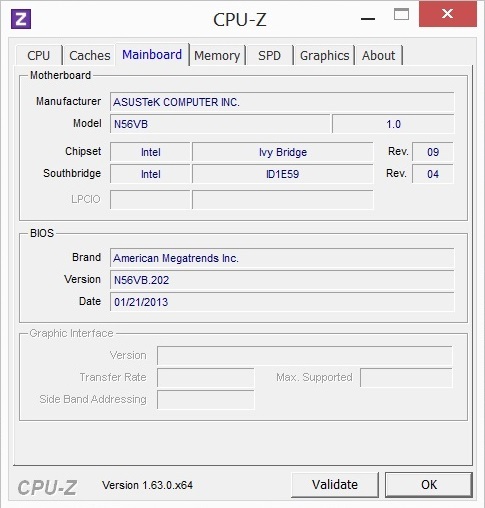 Windows 8 64-bit is the current standard whether or not the user likes Microsoft's new OS. The N56VB's price ranges from 800 to 1000 Euros (~$1054 to $1318, status: April 2013). The 15-inch device's exterior resembles the models N56VZ (GeForce GT 650M) and N56VM (GeForce GT 630M) that we tested about a year ago. 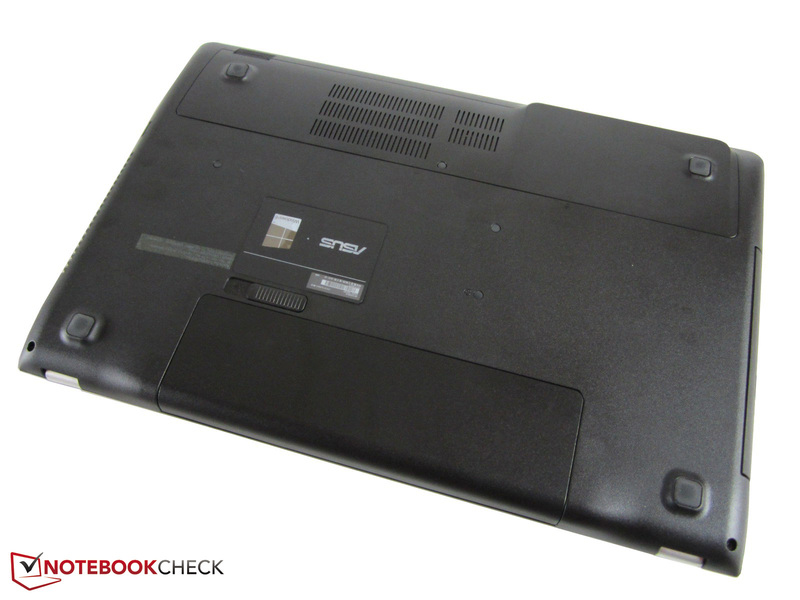 The multimedia laptop looks rather ordinary in a closed state. The casing's plastic bottom and brushed aluminum lid feature a dark color. As soon as the device is opened, the black components clearly vanish in the background. 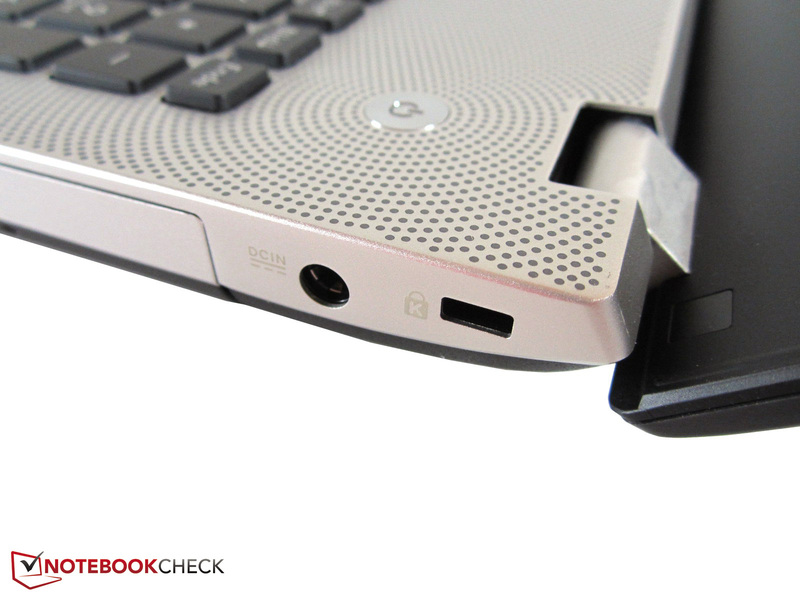 The keyboard's elegant silver-colored metal rim scores just like the laptop's sides. The display's gray bezel and the black keyboard ensure nice highlights. We also discovered a stylish, wave-pattern grille in the speakers' area. In our opinion, the optical design is a success. There is a bit of room for improvement in terms of casing stability. Although the base unit only yields under stronger pressure, the maintenance cover and lid could be more rigid. 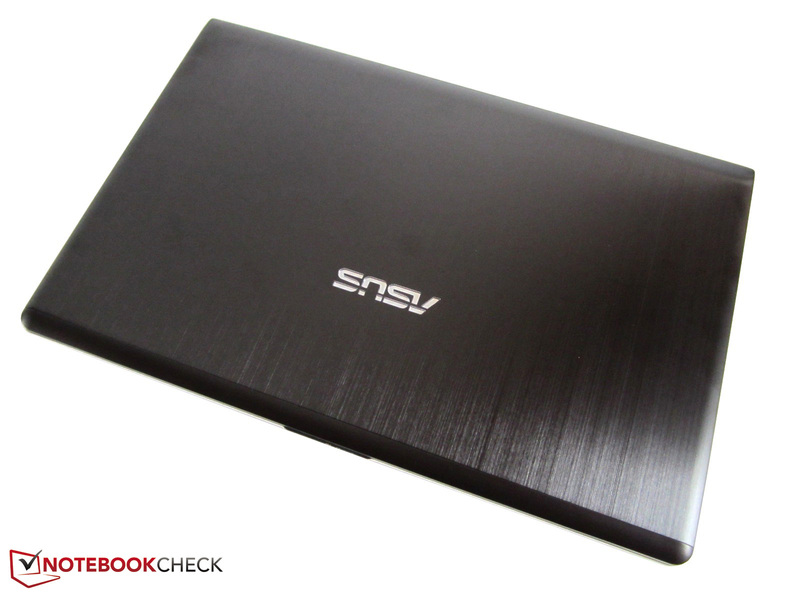 Nevertheless, the N56VB fares quite well compared to other all-round laptops. The build quality generally does not leave much to be desired. 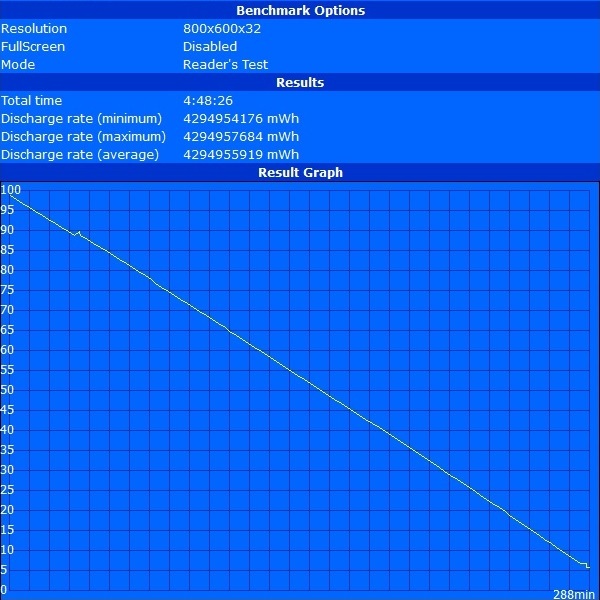 The material transitions on our test device were quite accurate. There is not much reproach for the hinges either. Opening with one hand is possible although the base unit tends to lift. The lid deals reasonably well with surface vibrations. The N56VB is neither exceptionally heavy nor light with a weight of approximately 2.7 kilograms (~6 pounds) and thus is quite suitable for carrying around. The same is true for its size of 380 x 255 x 35 millimeters (~15.0 x 10.0 x 1.4 inches, width x depth x height), which is common for the 15-inch range (e.g. Acer's Aspire V3-571G). The interfaces have been completely adopted from the old models. On the right, we find one headphone and one microphone audio jack, two USB 3.0 ports, the power socket and a Kensington lock. Two more USB 3.0 ports, a VGA and HDMI port, an RJ-45 Gigabit LAN port and a socket for the included subwoofer are on the left. Aside from the somewhat unfavorable interface positioning (cords could get in the way when using an external mouse), the unwieldy RJ-45 port particularly annoyed us in practical use. 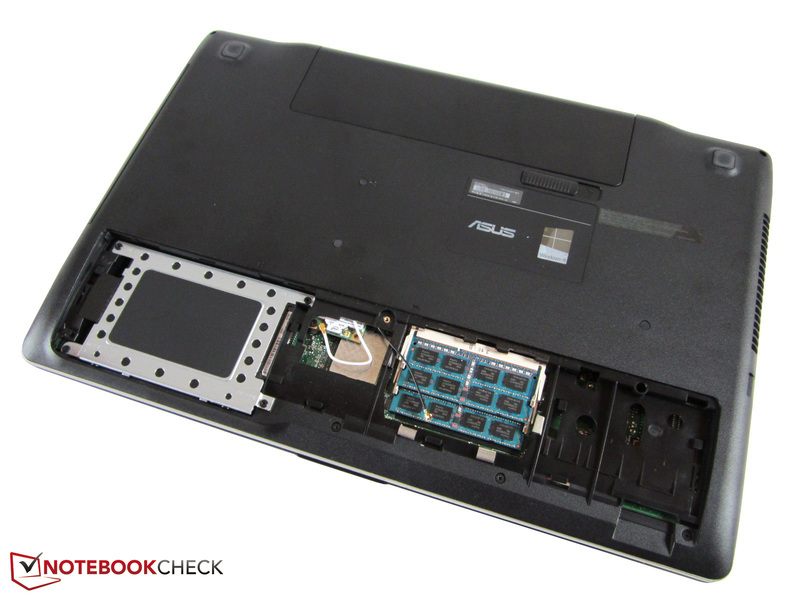 We do not really understand why Asus designed the network port as a foldout mechanism. There would have actually been enough room for a standard port. 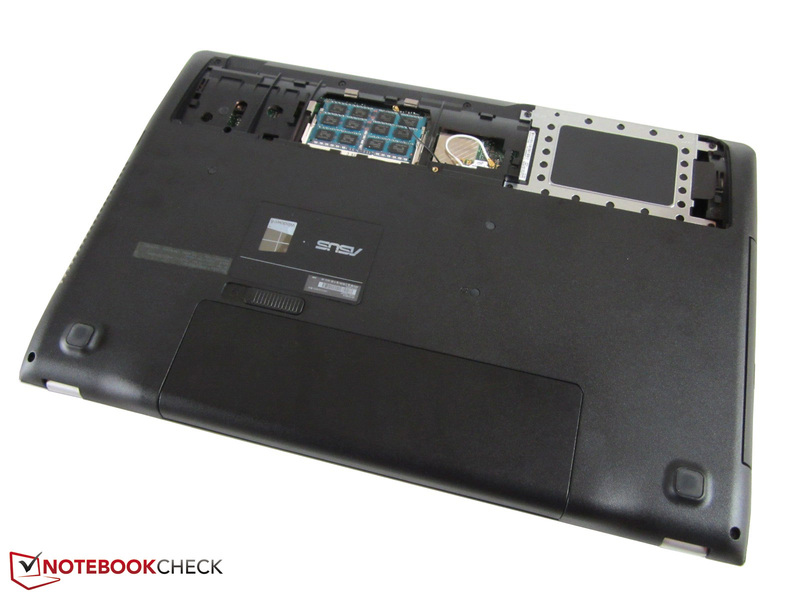 We are not dealing with a slim ultrabook in this case. 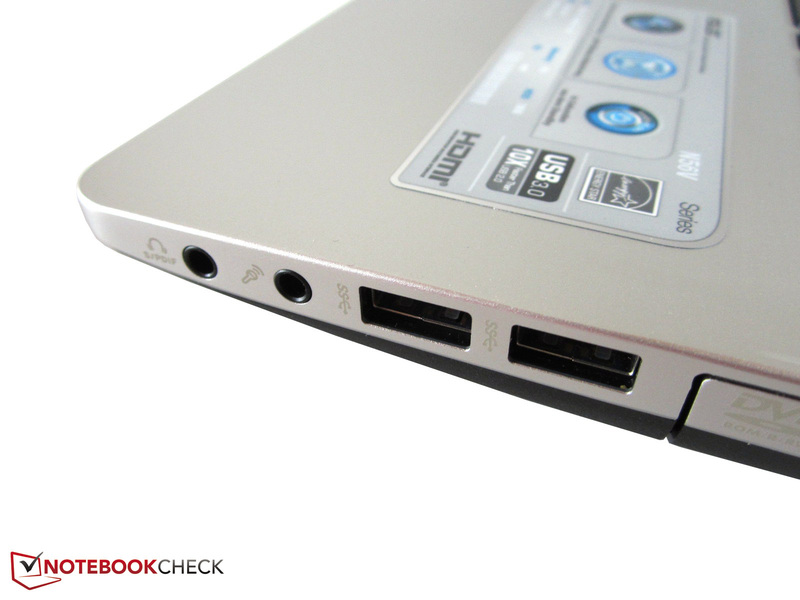 Regardless of that, Asus has also installed a card reader for MMC, SD, MS, and MS Pro on the front. Naturally, wireless Internet connections are also possible with the N56VB. Although the manufacturer installs a much known and very popular product from Intel, namely the Centrino Wireless-N 2230, its range proved to be rather modest. The connection quality dropped to just one or two bars at a distance of only a few meters and only three or four of the five Wi-Fi bars were partly displayed even directly beside the router. We have seen better results here. Intel's module supports 802.11 b/g/n Wi-Fi standards (300 Mbit/s maximum) and Bluetooth 4.0. Update 07/29/13: One of the readers discovered a disconnected cable in our pictures. That should explain the bad range. 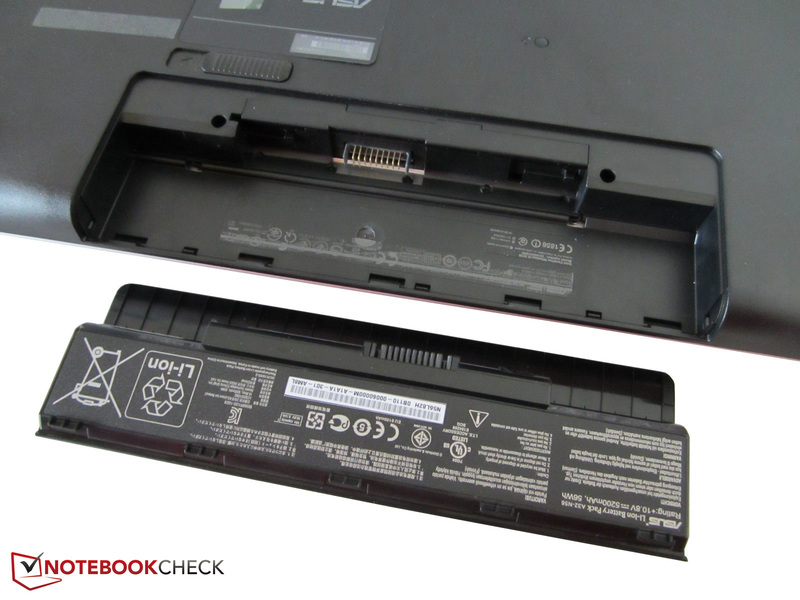 As typical for laptops, the maintenance possibilities are somewhat limited. 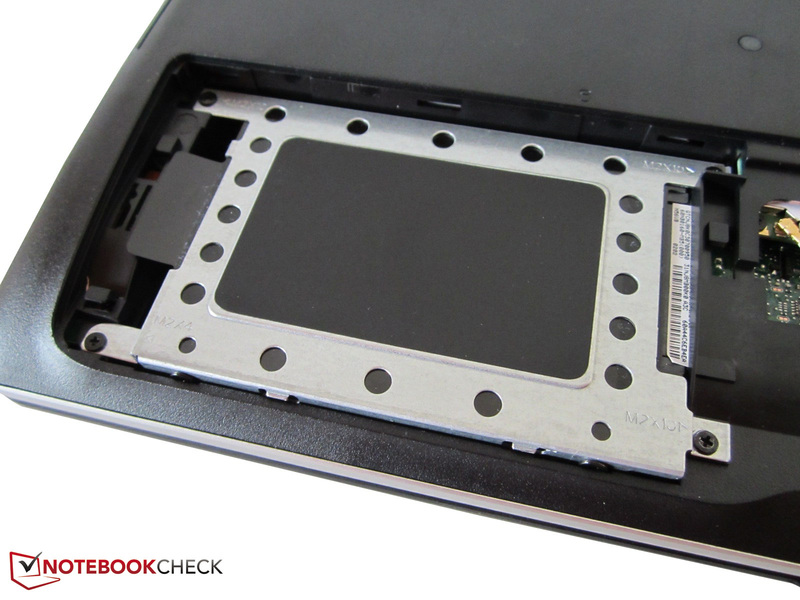 Like most competitors, the base plate, secured with screws, only gives access to the hard drive slot for 2.5-inch HDDs or SSDs and both DDR3 RAM banks. Inexperienced users can also replace or upgrade components. The cooling system, processor and graphics card regrettably cannot be accessed directly. 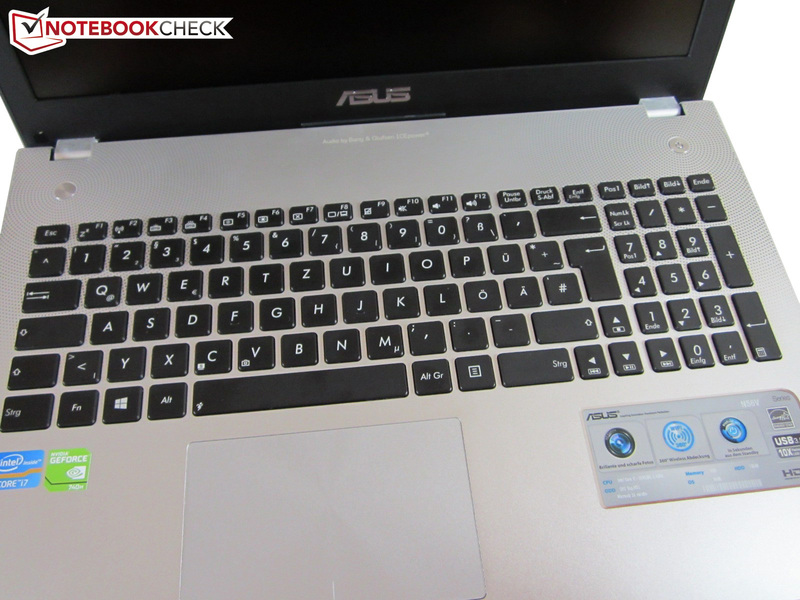 Instead of treating the user to a decent recovery system, Asus prefers to install many other tools on the laptop. For example, we found a trial version of Microsoft's Office 365 and McAfee's Internet Security. 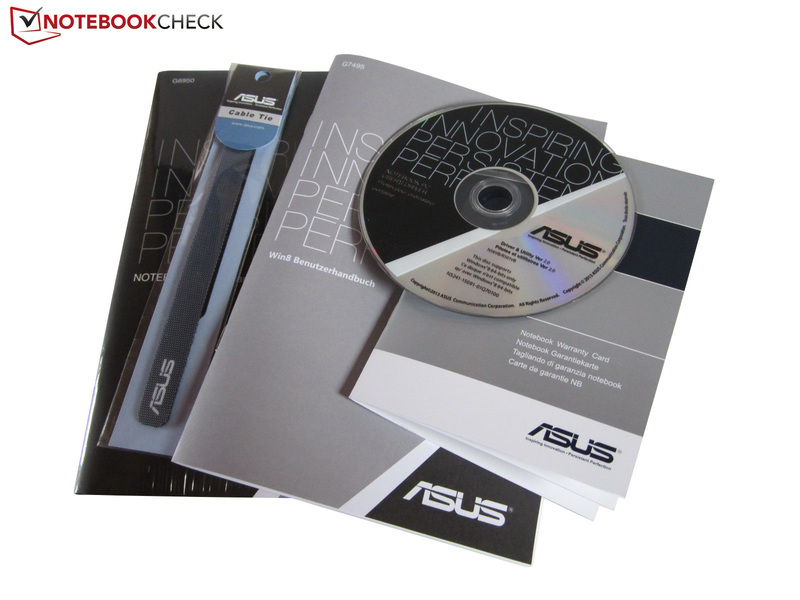 Many of the additional programs come directly from Asus. The system can be updated via Live Update and image rendering can be modified via Splendid Technology. 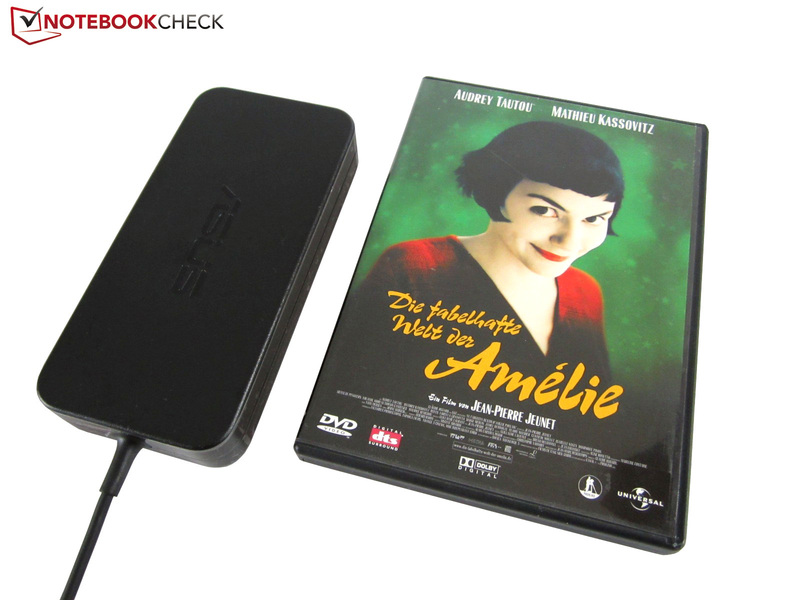 AsusDVD is a media player from CyberLink. The accessories are impressive. A driver & tool DVD is found inside the box alongside cable ties and several information brochures (warranty card, manuals, etc.). The strong 56 Wh lithium-ion battery is known from the predecessors. Asus however has now designed the 120 Watt power supply unit a bit slimmer, now only 160 x 76 x 25 millimeters/~6.3 x 3.0 x 1.0 inches). The biggest highlight is the cylindrical and lightweight 262 gram (~0.58 pound) subwoofer (see right picture column). The accessories would have been even nicer with a recovery DVD. 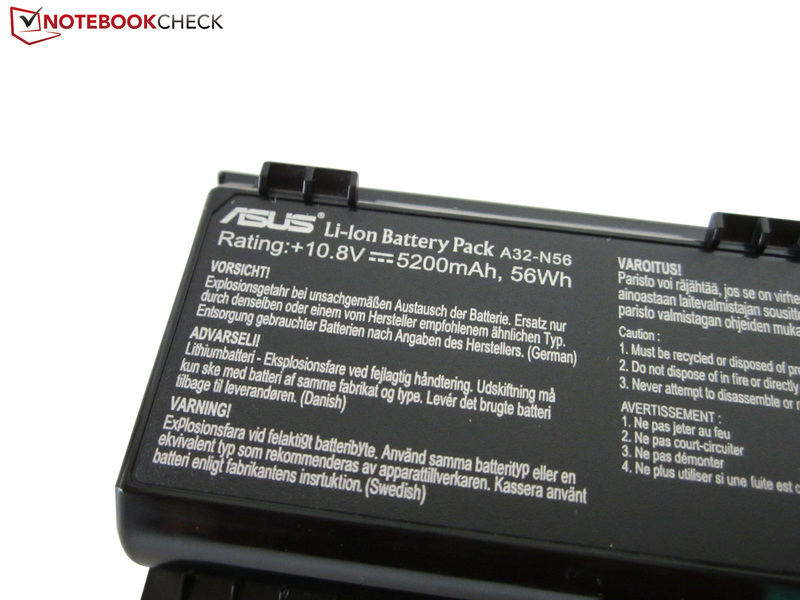 Asus includes a two-year, international hardware warranty on the device. The battery is only covered for one year. The chiclet keyboard made a good impression. The user will quickly become accustomed to it owing to the matte surface, decent key size (main keys: 1.5 cm, number pad: 1.2 cm) and the prominent gaps. The key lettering and distribution of the special functions do not give much reason for complaint. For example, the volume and screen brightness can be adjusted in the F row. Except for the combined DEL/INS key, the layout makes a good impression. The typing feel should satisfy most users. The pressure point and stroke are decent although the feedback could be a bit crisper according to the author. Those who work at night will be particularly happy about the multistage light, which is however not quite homogeneous as typical for Asus. The mouse replacement did not awe us despite its generous size of 114 x 71 millimeters (~4.5 x 2.8 inches). On the one hand, the touchpad makes a clattery impression and on the other, it sometimes lacks accuracy. Some contending products are more direct and less spongy. 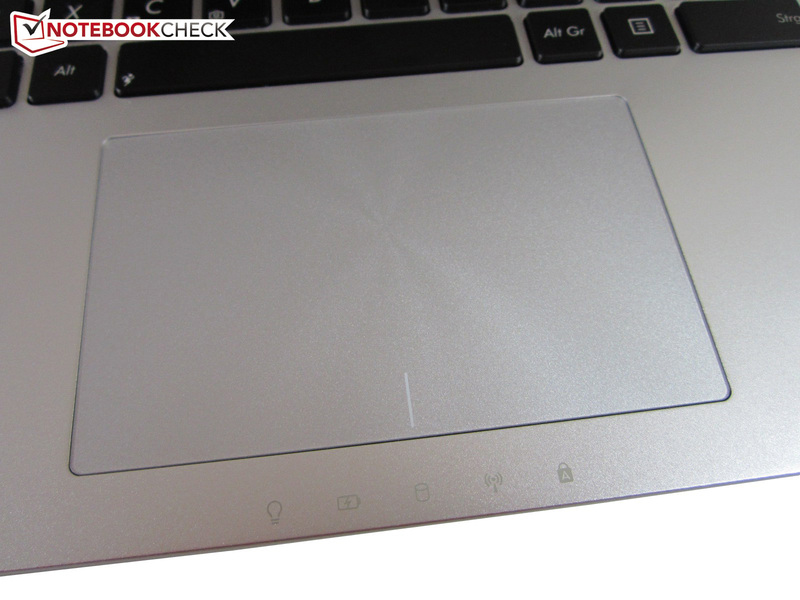 That however does not mean that the touchpad exhibits a poor performance. We would list its decent multi-touch capability as well as the clearly arranged and well-structured software on the pro side. The supported gestures are descriptively explained in a video. Mouse detection can also be enabled so that the touchpad is deactivated when an external mouse is connected. We did not take a liking to the two buttons. 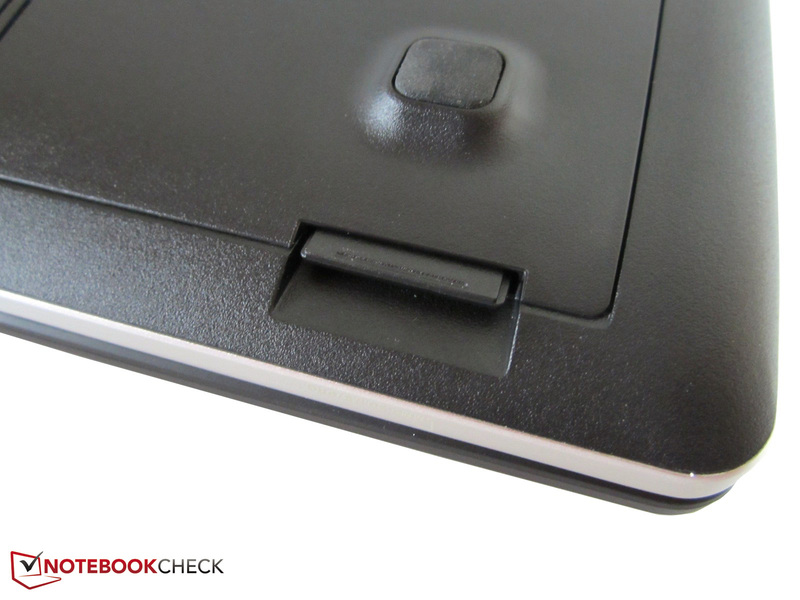 It is often hard to tell when and where an input has been detected since the touchpad is not separated. The main field also emits a click noise depending on the amount of pressure applied. The fairly sleek and thus pleasant surface only compensates this flaw to an extent. The manufacturer does not make any compromises with the screen. Although the N56VB cannot serve with an IPS screen, a high-quality TN screen is a rare thing. Thus, the LG Philips LP156WF1 excites with an outstanding brightness. 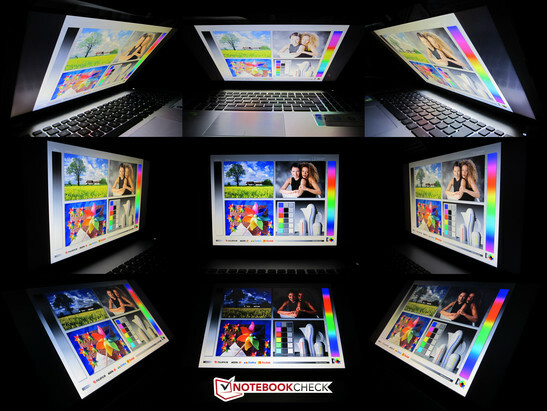 While most laptop screens range between 200 and 300 cd/m², the N56VB achieves an average of 360 cd/m², which is an excellent rate. 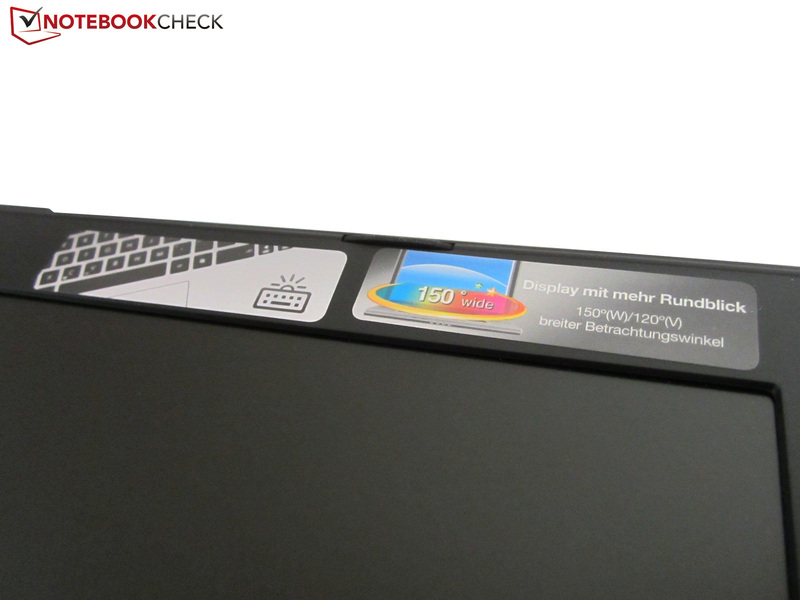 The 15-incher shines so intensely that the brightness should even be reduced a bit indoors. A black value of 0.5 cd/m² is however only enough for the midfield. Darker screen content sometimes tends to look light gray. Otherwise, the N56VB scores quite well. 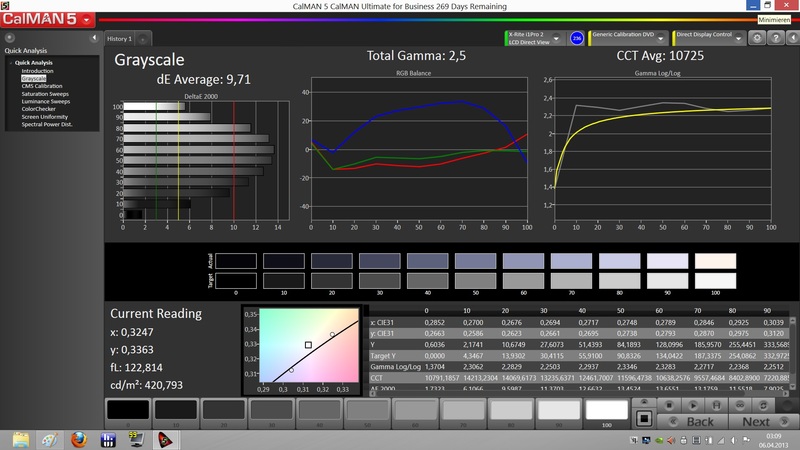 An ordinary, run-of-the-mill screen cannot compete with a contrast of nearly 760:1. 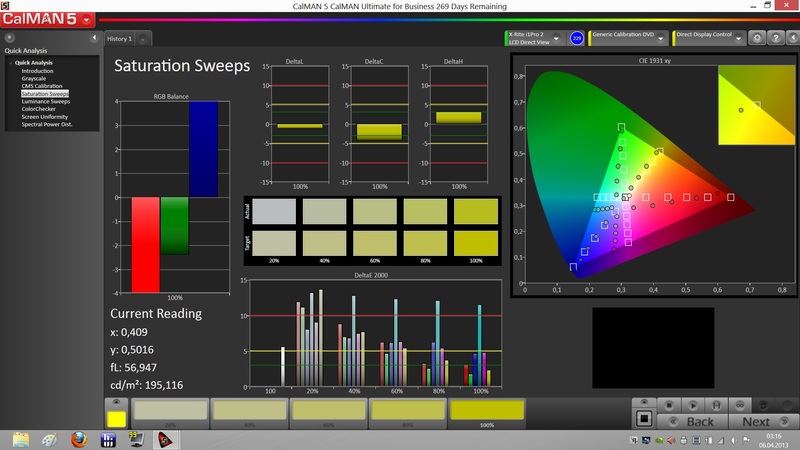 The color space coverage of the LG Philips LP156WF1 is also viable. The picture looks overall vivid and natural. The N56VB is perfect for work owing to the lavish resolution. Two adjacently opened windows, for example MS Office and a browser, are no problem in contrast to models with 1600x900 or 1366x768 pixels. A disadvantage of the high pixel count is the enormous computing effort. 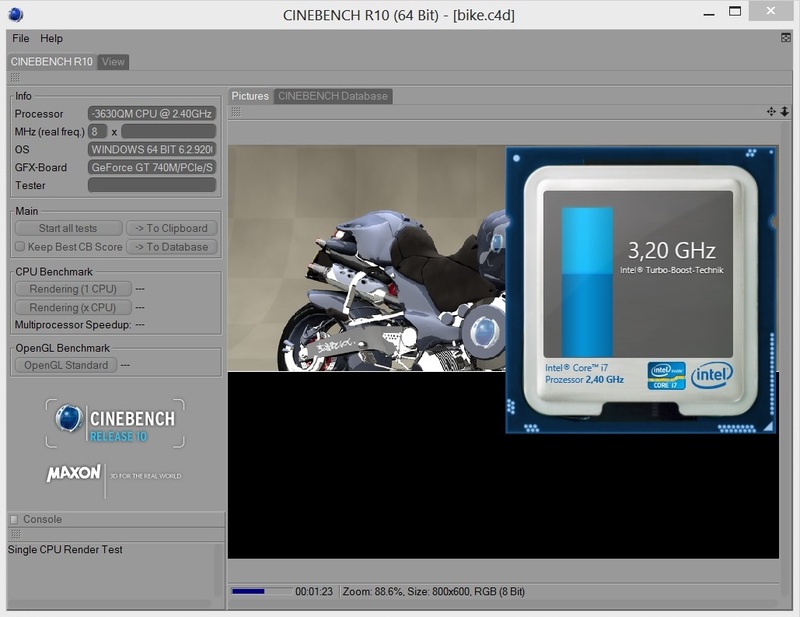 As our gaming benchmarks shows, 1920x1080 pixels are not ideal for the GeForce GT 740. In return, "ideal" fits to outdoor suitability. 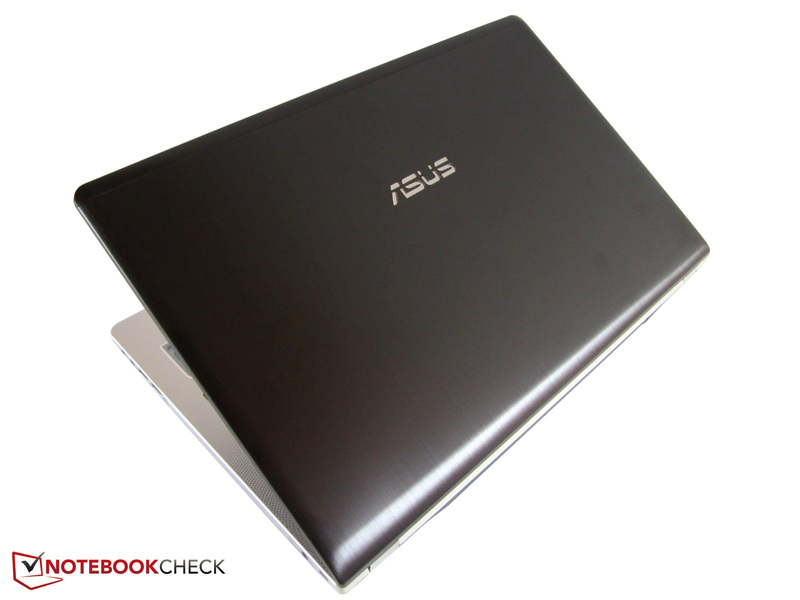 Since the brightness remains stable in battery mode and Asus uses a matte surface, the content's legibility is great even on brighter days. The above average viewing angles add to that. Unlike cheaper models, the screen does not have to be constantly (re-) adjusted. The more expensive models in the N56VB range are powered by a quad-core from Intel's current Ivy Bridge generation (22 nm). 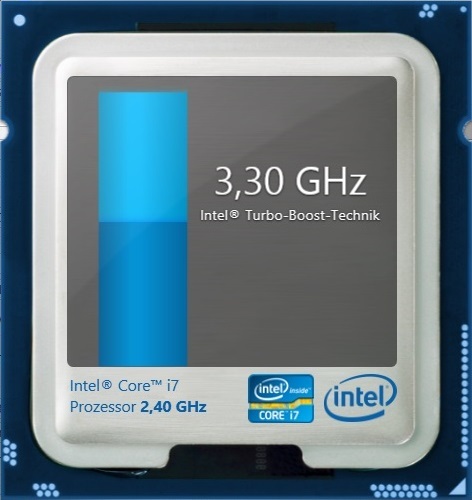 The Core i7-3630QM can increase its clock up to 3.4 GHz via Turbo Boost. Another feature is Hyperthreading technology that supplies every physical core with a virtual counterpart. Since 4 + 4 equals 8, eight parallel threads are thus possible. The high performance of the Core i7-3630QM is not least due to the 1.4 billion transistors and the six MB L3 cache. 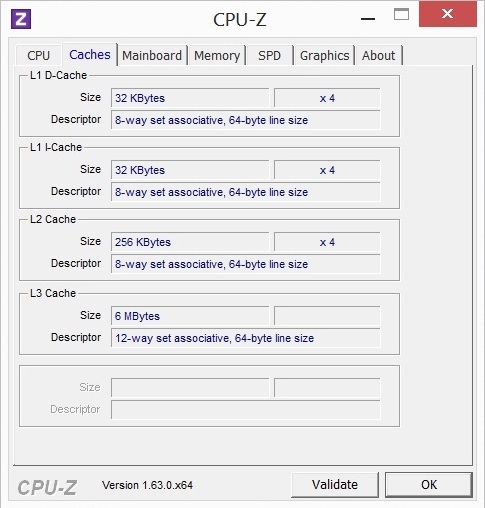 For comparison, the 2.6 - 3.2 GHz Core i5-3230M "only" has a three MB L3 cache. A major advantage of the dual-core CPU is its low power consumption of 35 rather than 45 Watts (TDP). However, regardless of the processor, Nvidia's graphics switching Optimus enables the N56VB to switch between the integrated and dedicated GPU. 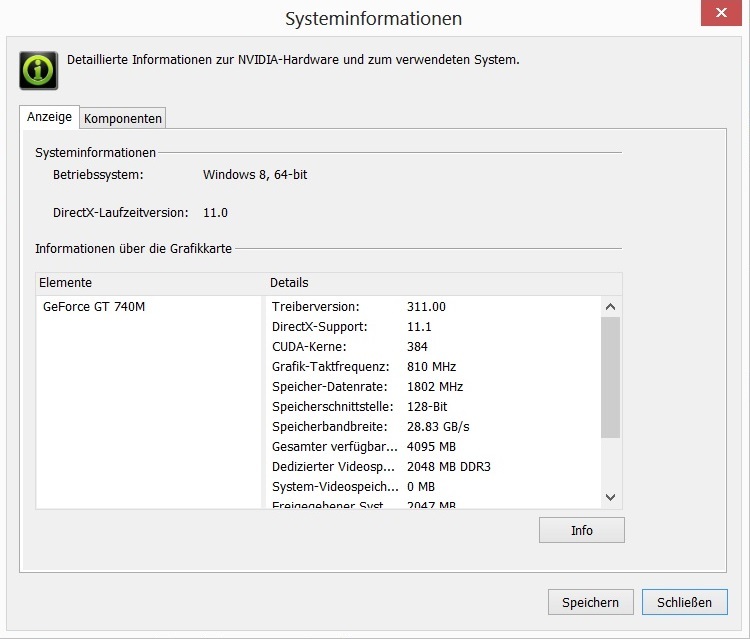 According to the requirement, either the HD Graphics 4000 or the GeForce GT 740M is enabled. Optimus works virtually flawlessly. We can verify that the technology is very reliable. 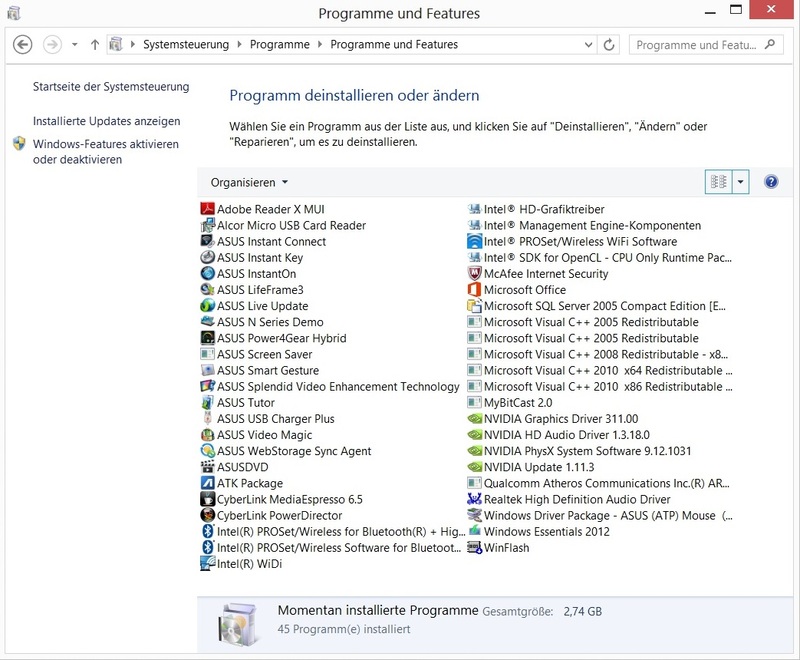 Single programs can also be manually assigned to a specific graphics card via Nvidia's system control (right click on desktop). A global setting is also available. 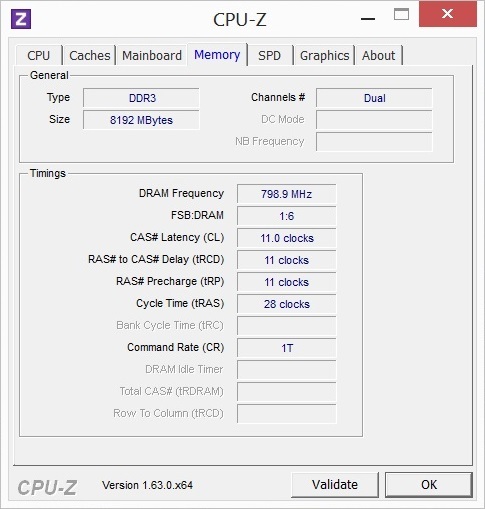 The CPU clock works properly under normal circumstances. 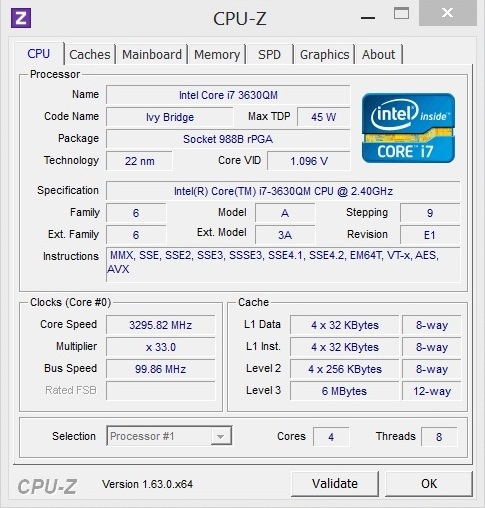 Regardless whether only one or several cores are loaded, the Core i7-3630QM settles to around 3.2 GHz, which is close to the Turbo's maximum. 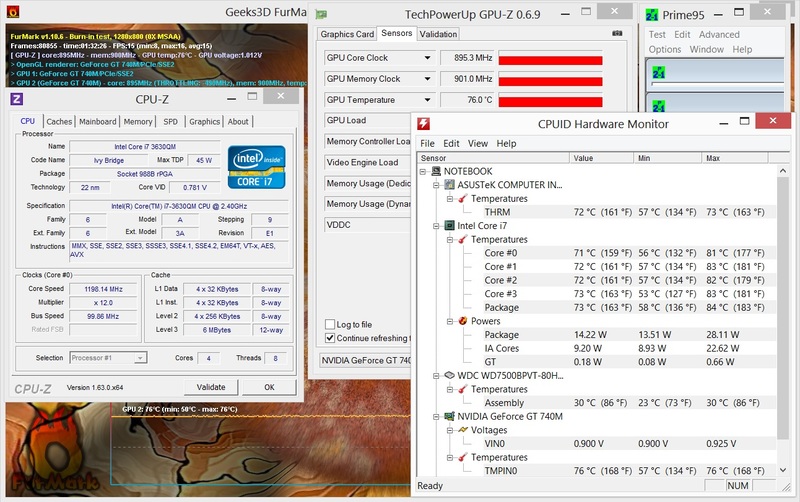 The processor usually clocks over the default rate of 2.4 GHz even when the GeForce GT 740M is enabled (see screenshot 3 for comparison). Temporary processor throttling only occurred in extreme cases since it is an enormous strain for the system. 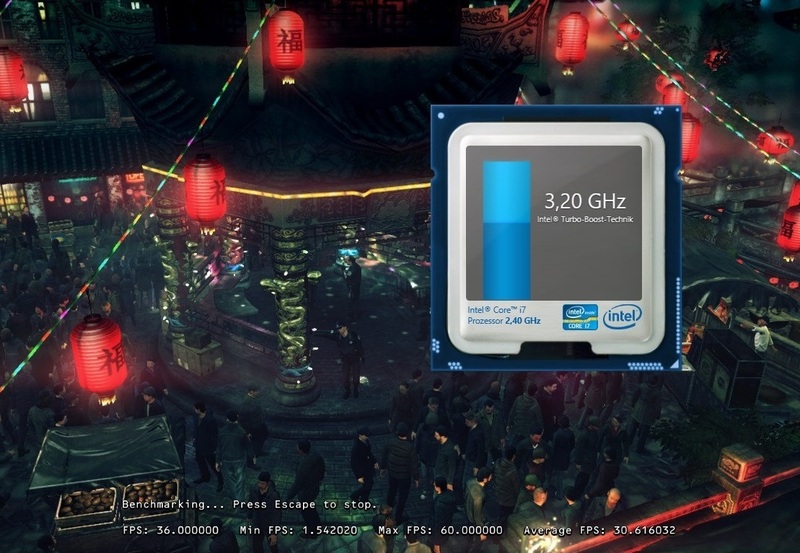 Single cores briefly dropped to 1.2 GHz in the Unigine Heaven benchmark. 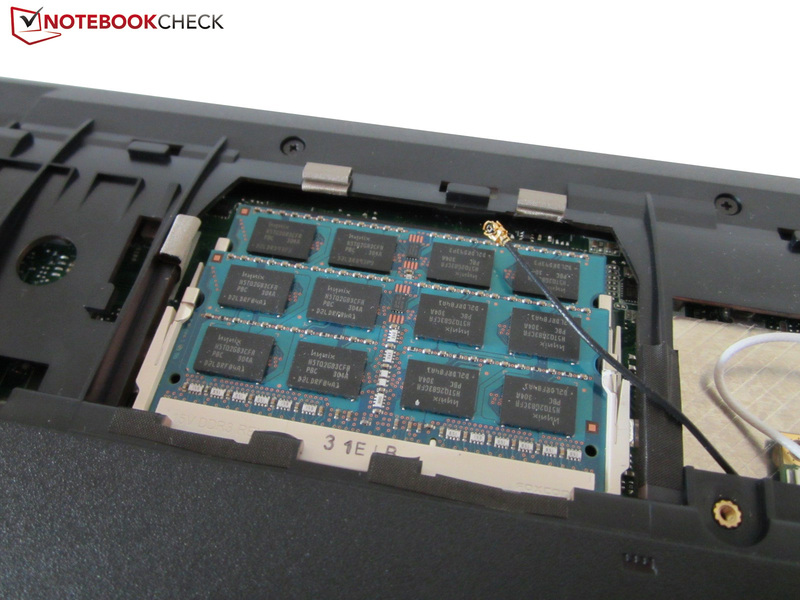 Only a few laptop CPUs can compete with the performance of the Core i7-3630QM. 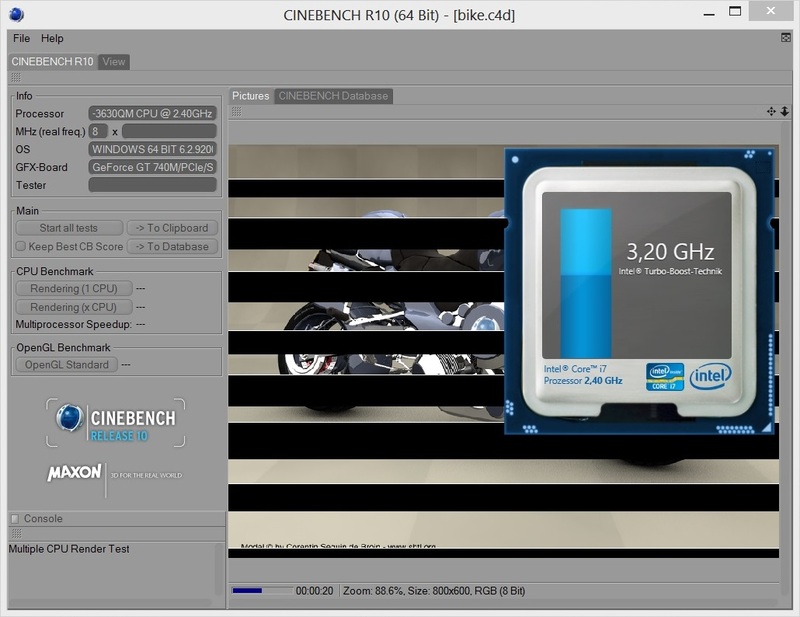 With 21756 points, the Ivy Bridge model calculates almost twice as fast as Intel's Core i5-3230M in Cinebench R10 multi-core rendering (11108 points @ Acer Aspire V3-571G). The difference was much lower in the single-core test. 5770 to 5127 points equal a plus of only 13%. Users with a tight budget can confidently take the entry-level model of the N56VB. The benefits of a quad-core are only rarely noticed in practical use. 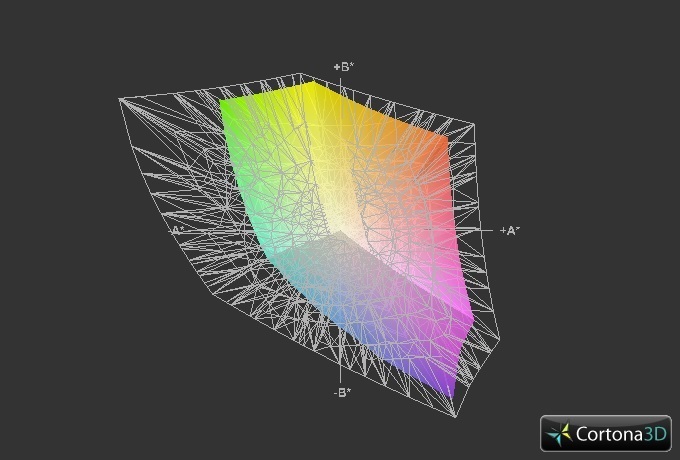 Most 3D applications are GPU-limited. Nvidia again causes a lot of confusion with its new GeForce 700M series. A few models that are still based on the GF117 chip (710M & GT 720M) from the prior Fermi generation exist beside modified Kepler models with a GK107 and GK208 chip (GT 730M to GT 750M). To add to the confusion, single graphics cards are also offered in different versions. The GeForce GT 740M is the perfect example for this. Depending on the laptop, either a DDR3 or a GDDR5 with a 128 or 64-bit memory interface takes care of all pending calculations, including deviating clock rates. 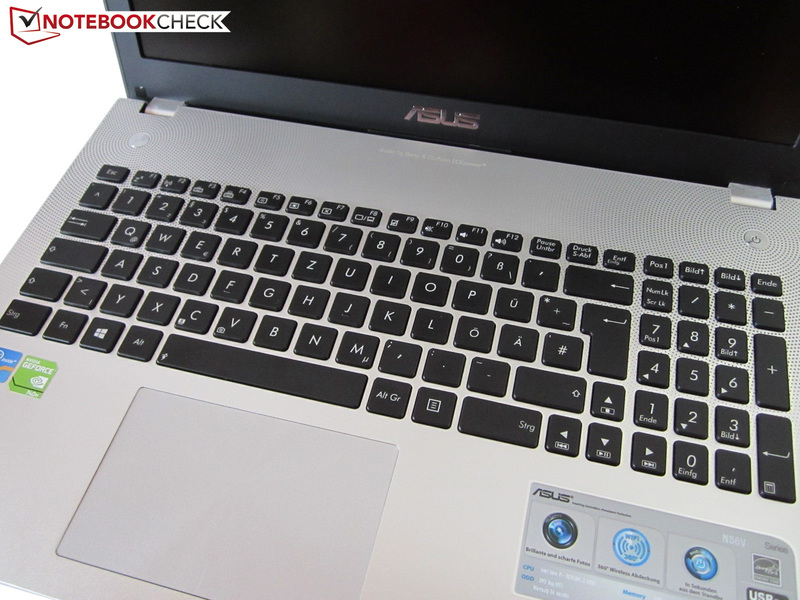 Asus opted for the "conventional" alternative for the N56VB. Its big 2048 MB and fast 1800 MHz DDR3 memory features a 128-bit bus. 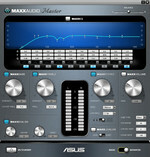 One of the most important features of the 700 range is the revised Turbo mode (GPU Boost 2.0). It now also includes the temperature as well as power consumption. According to Nvidia, the performance is to increase by up to 15%. 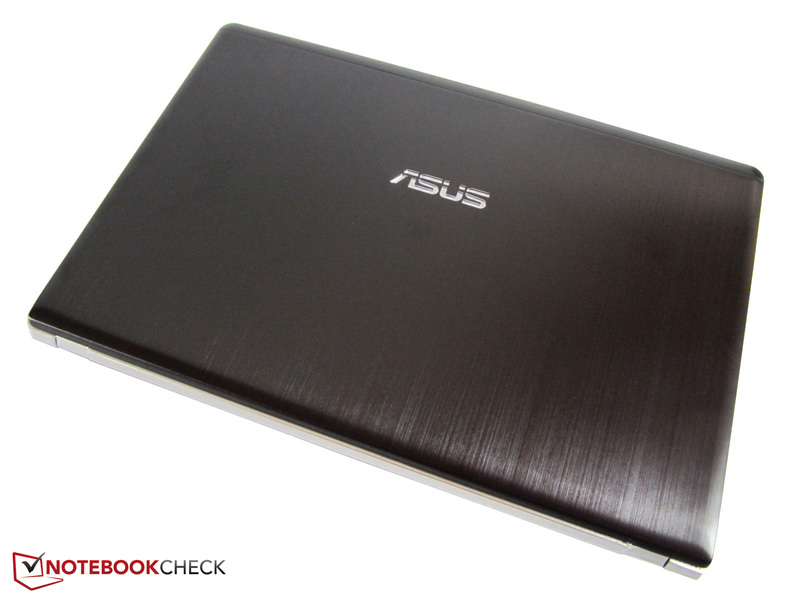 In the case of Asus' N56VB, the default clock of 810 MHz is stably increased to 895 MHz during load. Like the Kepler models, the GeForce GT 740M is manufactured in state-of-the-art 28 nm process. 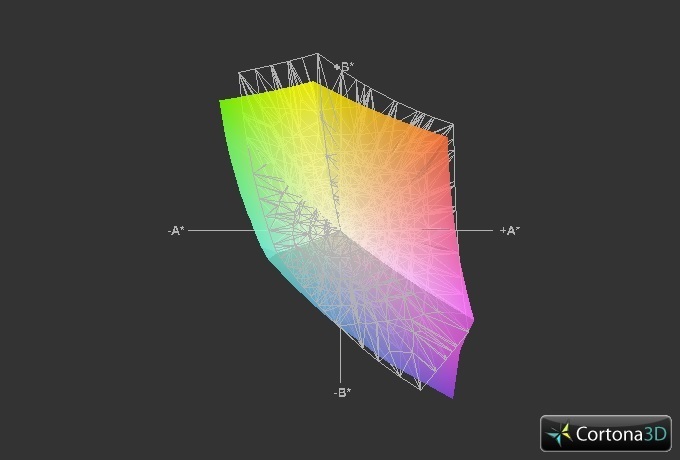 The graphics card is positioned in the midrange with 384 Shader units. An official Nvidia driver was not yet available at the time of this review. The slightly older ForceWare 311.00 was installed on our device. The graphics benchmarks confirm that the GT 740M provides good performance. We would like to focus on two DirectX 11 tests in this text. 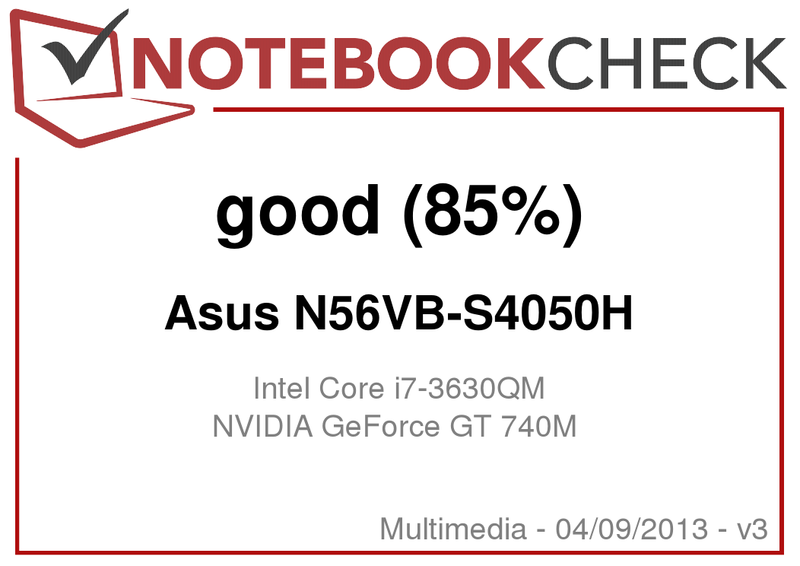 The 28 nm product settles almost 80% above the popular GeForce GT 630M (1126 points @ Asus N76VM) and roughly 20% above the GeForce GT 640M (1731 points @ Acer Aspire M3-581TG) with a GPU score of 2044 points in 3DMark 11. The GT 650M Kepler model has a slight lead (2113 points @ Medion Akoya P6815). The gaps shift a bit in the Unigine Heaven 2.1 benchmark, which we perform with 1280x1024 pixels, high details and default tessellation. 23.4 fps are on a par with the GT 640M. While the GT 650M achieves a 25% higher score (~29 fps), the GT 630M lags behind by approximately 30% (~16 fps). 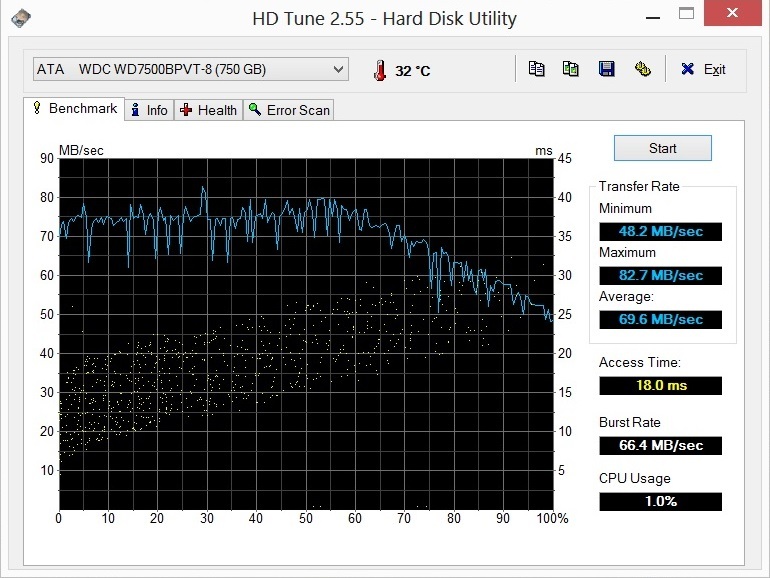 The 750 GB HDD comes from Western Digital and is dubbed Scorpio Blue WD7500BPVT-80HXZT3. The slim, 9.5 millimeter (0.37 inch), 5400 rpm model supplied decent rates in special HDD tests such as HD Tune and CrystalDiskMark. 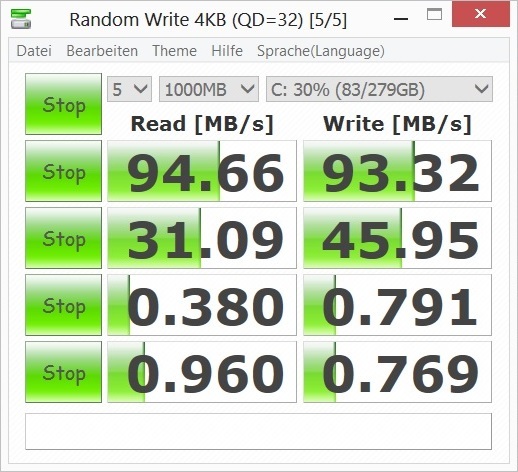 The latter tool recorded a sequential read and write rate of over 90 MB/s. Subjectively, the HDD does not seem especially fast or sluggish. However, its performance is of course remote from that of a solid-state drive. An SSD would not only have an impact on the speed (boot time, load times, transfer rates, etc.) but also on the noise. Impatient users who have the necessary means should consider upgrading. HDDs soon find their limits in heavy multitasking. 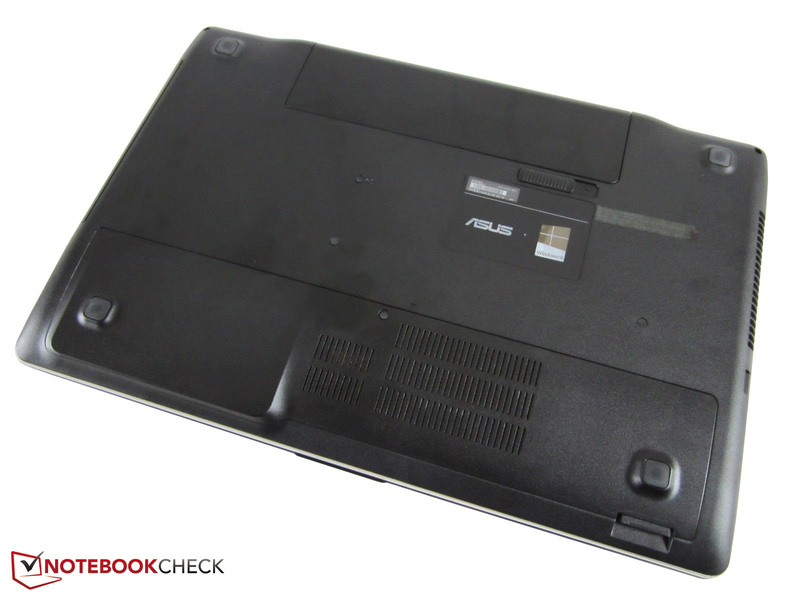 Asus' N56VB was quite inconspicuous in the system benchmarks. Almost 10000 points in PCMark Vantage are more or less the maximum that can be retrieved with a conventional HDD. 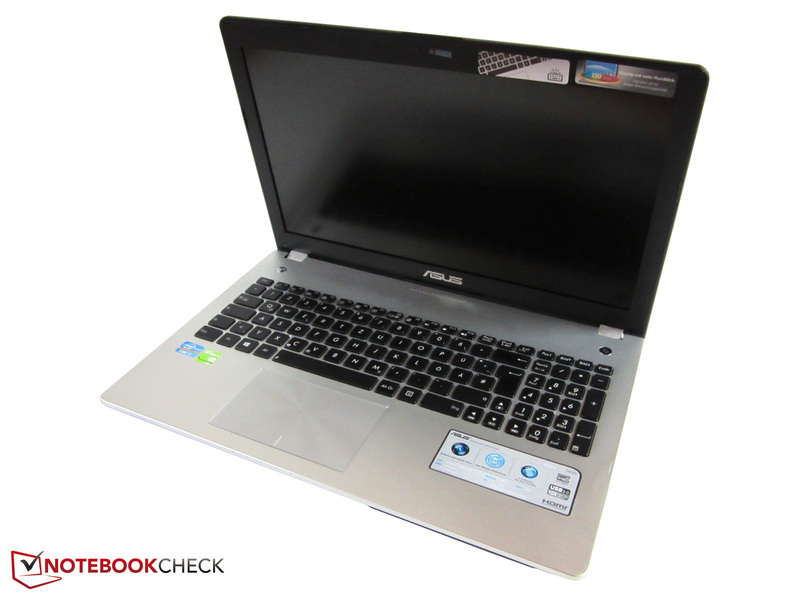 Samsung's 700G7C (9795 points), Asus' A95VM (9829 points) and MSI's GT60 (10103 points) achieved similar scores. The gaming performance exhibited by the GeForce GT 740M was quite mixed. Undemanding games like Mass Effect 3, Counter Strike: Global Offensive, FIFA 13 and Dishonored were rendered smoothly even in maximum settings including anti-aliasing. However, graphics-hungry titles such as Far Cry 3, Crysis 3 or Hitman: Absolution stuttered a great deal in higher settings. As a result, the resolution sometimes had to be reduced, which is known to be at the expense of sharpness. 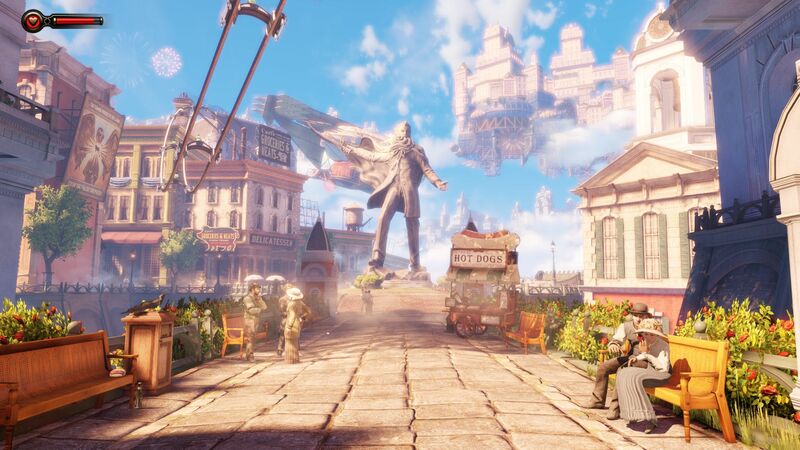 Casual gamers who can live with compromises in graphics quality and speed will however get a system that is suitable for up-to-date games with restrictions. We were nevertheless a bit disappointed in the GT 740M since it was overall only enough for the level of a GT 640M. It should be possible to expect bigger performance leaps from a new model range. Incidentally, the main competitor AMD uses a similar, confusing naming strategy. Old architectures are often masked as an allegedly new generation. Most users will unlikely find the system noise distracting. Although the laptop was always audible in idle, we never found the subtle hard drive noise ranging from 30 to 33 dB(A) annoying. Seeing that the fan either vanishes into the background or remains completely silent during more basic tasks, sensitive users will find investing in an SSD worthwhile. The DVD burner exhibits good behavior if the user can ignore its short speed increase. It was quite loud when accessing data. We recorded an average of 37 dB(A) while playing a movie using the optical drive, which is a middling rate. 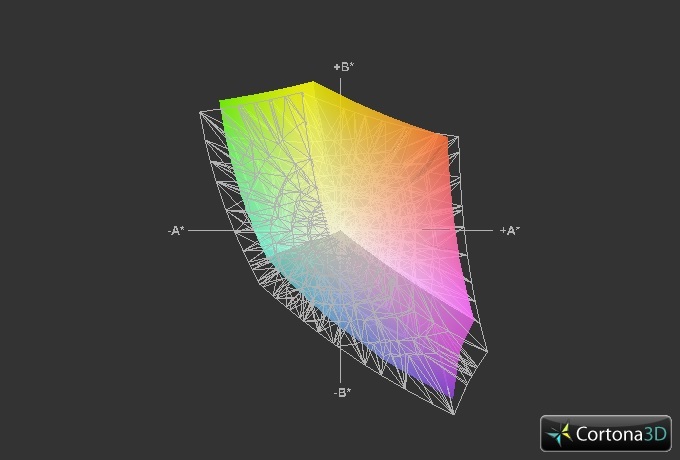 The fan was first noticed in 3D and gaming use. Around 38 dB(A) in 3DMark 06's first sequence are reasonable in our opinion. The fact that 40 dB(A) was not surpassed even in the stress test, induced using FurMark + Prime95, is good. The temperature development will unlikely bother anyone either. The temperature is agreeably cool at idle with an average temperature of 26 °C (78.8 °F). Our thermometer recorded an average of 33 °C (91.4 °F) on the laptop even during full load, which is not exceedingly warm. In return, the components make a mixed impression. Good: A CPU and GPU temperature of 70-80 °C (158-176 °F) is absolutely acceptable. 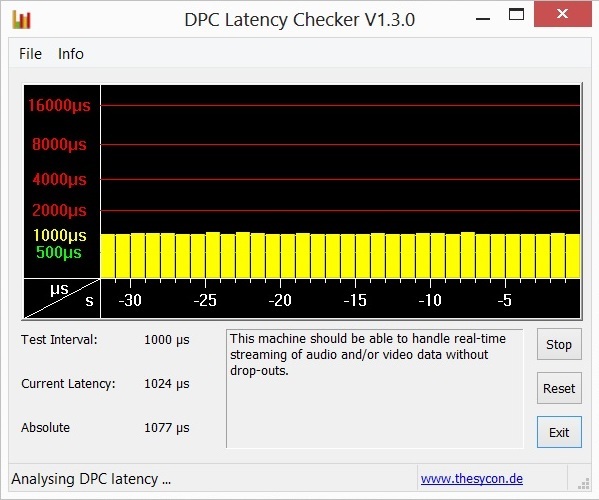 Bad: The Core i7-3630QM throttles to 1.2 GHz after a short while. (+) The maximum temperature on the upper side is 36.3 °C / 97 F, compared to the average of 36.5 °C / 98 F, ranging from 21.1 to 71 °C for the class Multimedia. (+) In idle usage, the average temperature for the upper side is 26 °C / 79 F, compared to the device average of 30.9 °C / 88 F.
(-) The average temperature of the palmrest area of similar devices was 29.1 °C / 84.4 F (-4.9 °C / -8.8 F). SonicMaster, Bang & Olufsen ICEpower, Waves MaxxAudio. 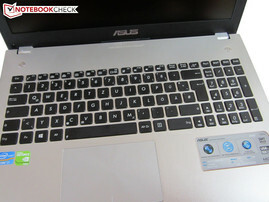 Asus uses many keywords for promoting the speakers. This is justified as we ascertained in the test. 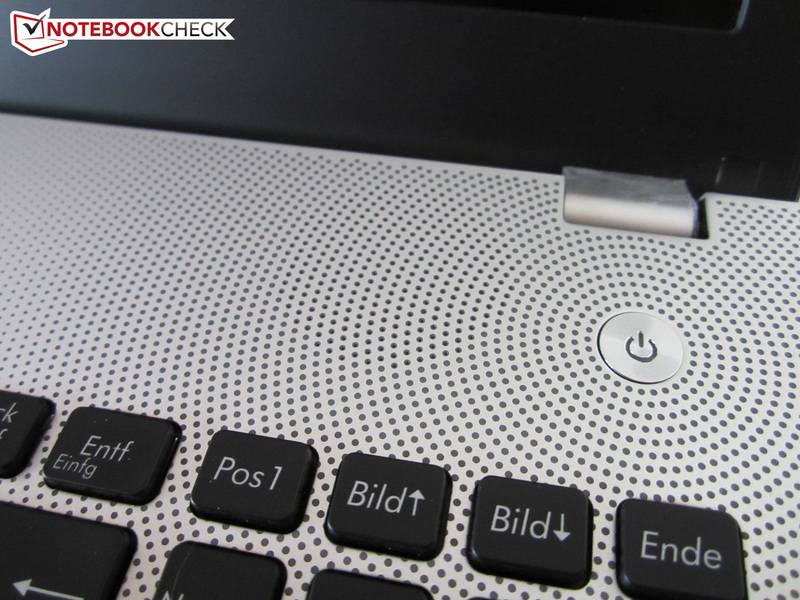 Regardless whether the external subwoofer was connected, the sound proved to be surprisingly clear, accurate and balanced for a laptop. All media was rendered adequately. Naturally, the best sound is derived with the subwoofer because the bass seems richer. It is also possible to fill bigger rooms with sound adequately owing to the N56VB's high maximum volume. 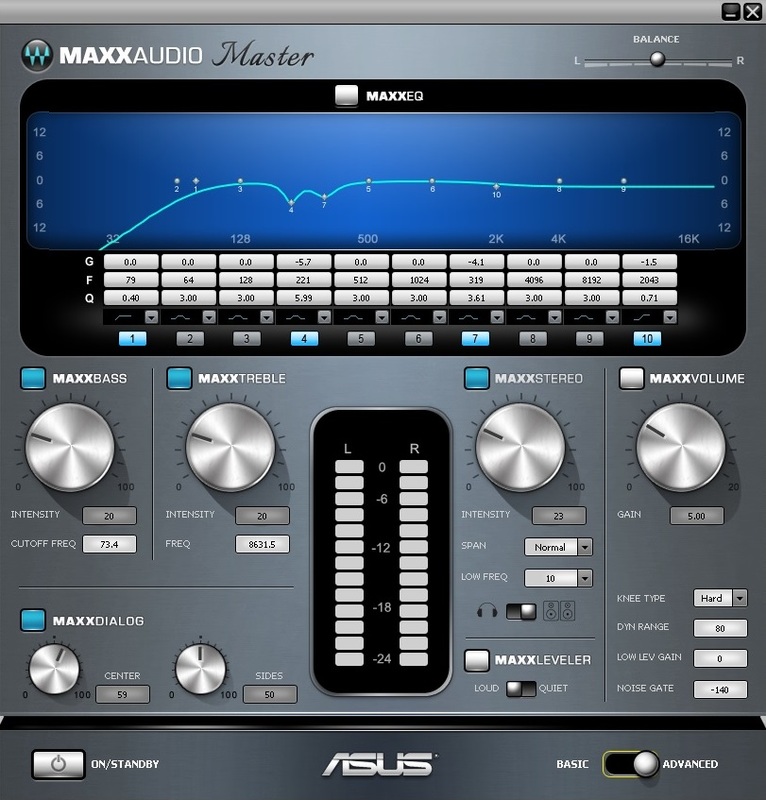 The sound can be perfectly customized via the preinstalled software. In addition to various scenarios, e.g. music, movies, gaming, it provides sound enhancements and an equalizer. 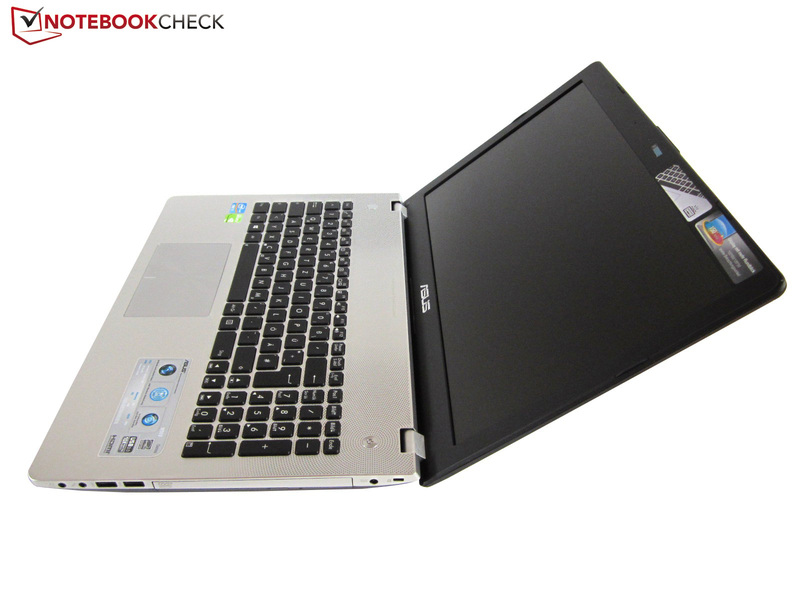 The power consumption is higher than in other multimedia laptops due to the quad-core CPU and bright screen. 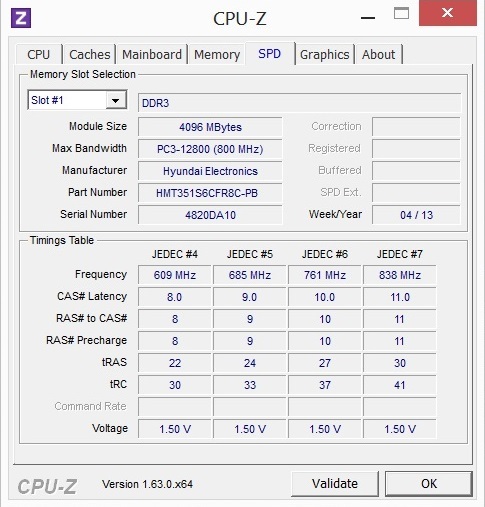 With 11-25 Watts, the idle power consumption is clearly higher than the recently reviewed 15-inch Samsung 510RE-S01DE (7-14 Watts), which sports a dual-core processor and equally swift AMD Radeon HD 8750M. 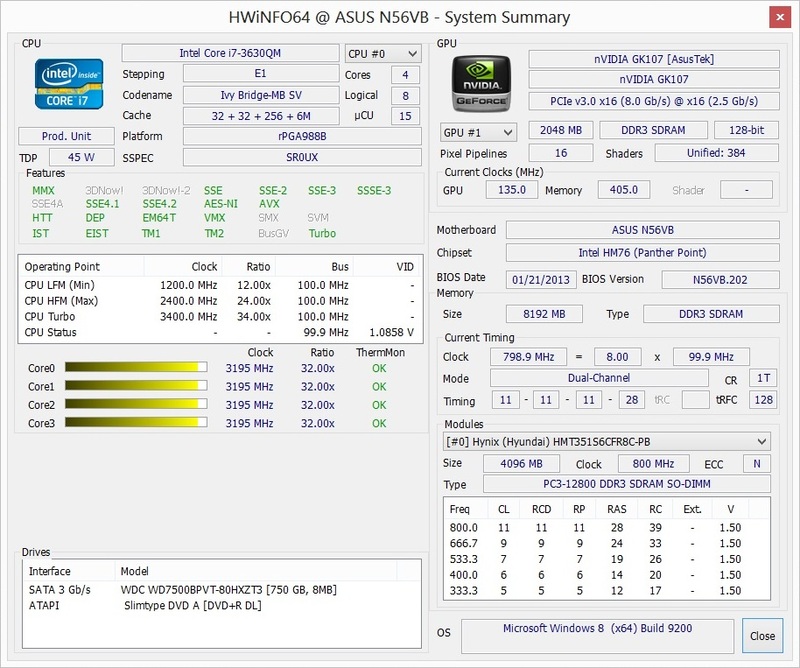 The N56VB follows devices using Nvidia's GeForce GT 640M or GT 650M during load. For example, 76 Watts is roughly the average of Acer's Aspire V3-571G-53214G50Maii (71 Watts) and Asus' N56VZ-S4044V (80 Watts) in 3DMark 06. 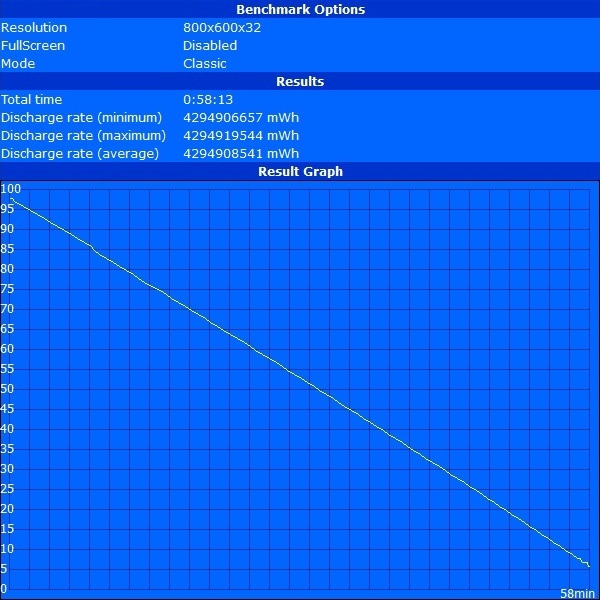 The battery runtime is within the average range for multimedia devices. The 15-incher lasted between one and five hours depending on the screen's brightness and system load. We recorded almost three to four hours from the N56VB during normal use (office, Internet, video files, etc.). We would appreciate a somewhat stronger battery in the successor. 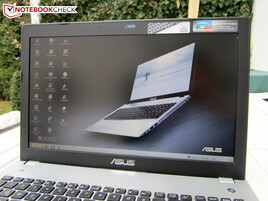 There is hardly a better multimedia laptop than Asus' N56VB for less than 1000 Euros (~$1318) at the moment. 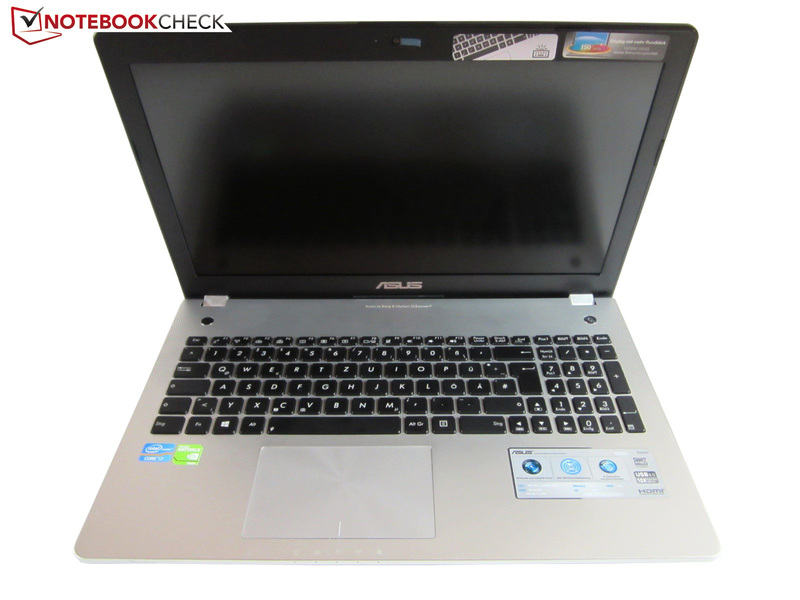 The 15-inch, versatile device only exhibits a few shortcomings that are mostly not serious. Although the port distribution is partly adverse, the casing convinces to the largest extent. 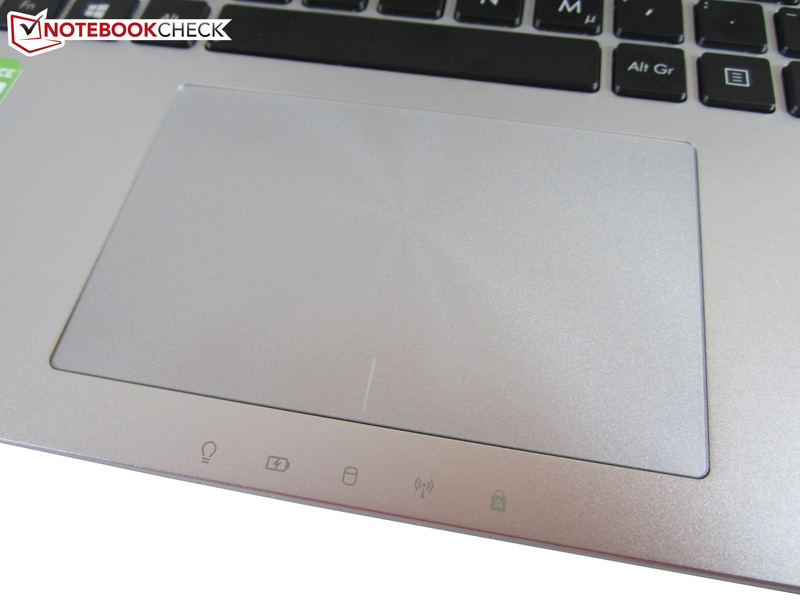 In contrast to glossy laptops, the matte, metal surfaces are quite insensitive in terms of fingerprints and dust. The backlit keyboard is also a plus point. 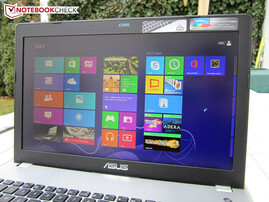 Owing to graphics switching and modern hardware, the temperature and noise emissions are no reason for concern either. However, it is too bad that the GeForce GT 740M only insignificantly stands out from its predecessor. 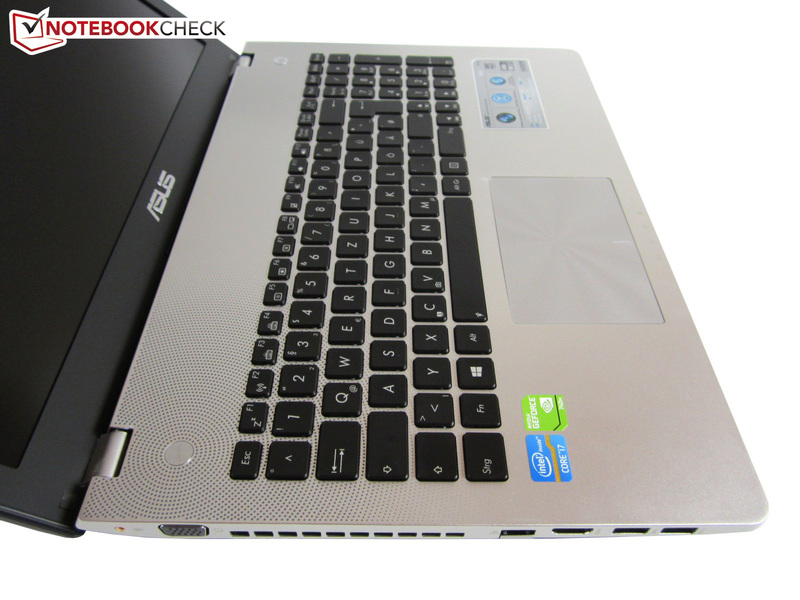 Our benchmarks show that the GT 640M successor places itself between the GT 630M (Asus N56VM) and GT 650M (Asus N56VZ). 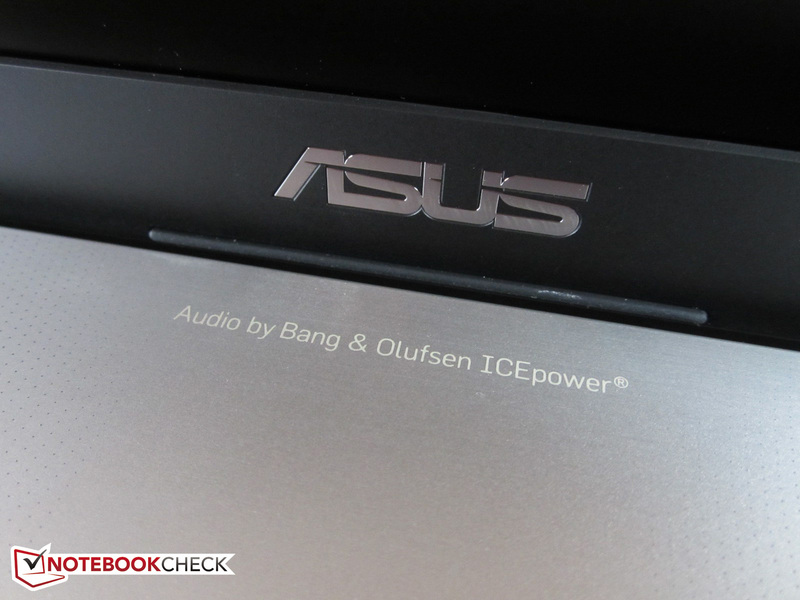 On the other hand, we quite appreciate that Asus not only pays attention to image but also sound quality. The competition can take an example from the 2.1 system. Although it adds weight, the included subwoofer is a nice idea. 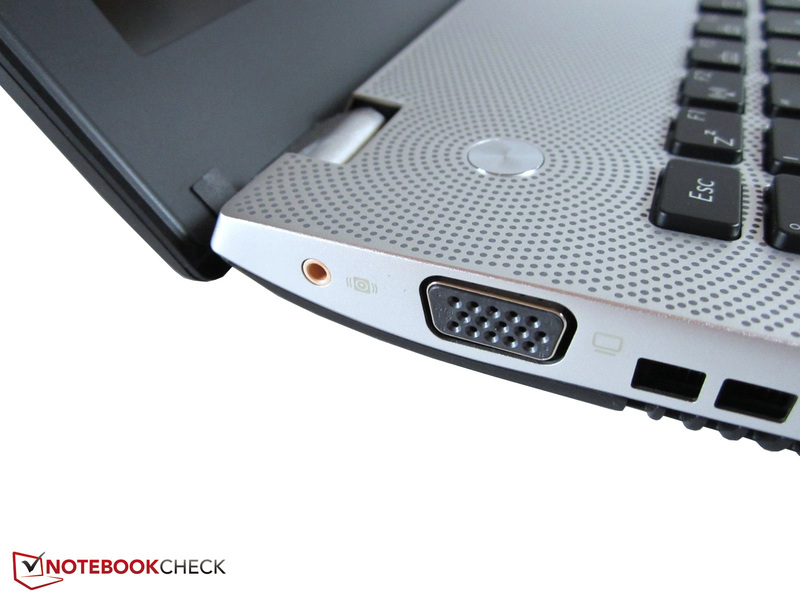 We can only list the omitted recovery DVD and poor Wi-Fi range as drawbacks for the all-round laptop. 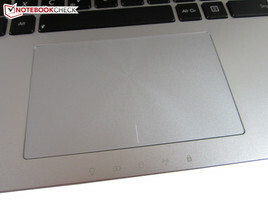 The manufacturer also wastes potential in battery runtime and the touchpad. It is nevertheless enough for a clear purchase recommendation. 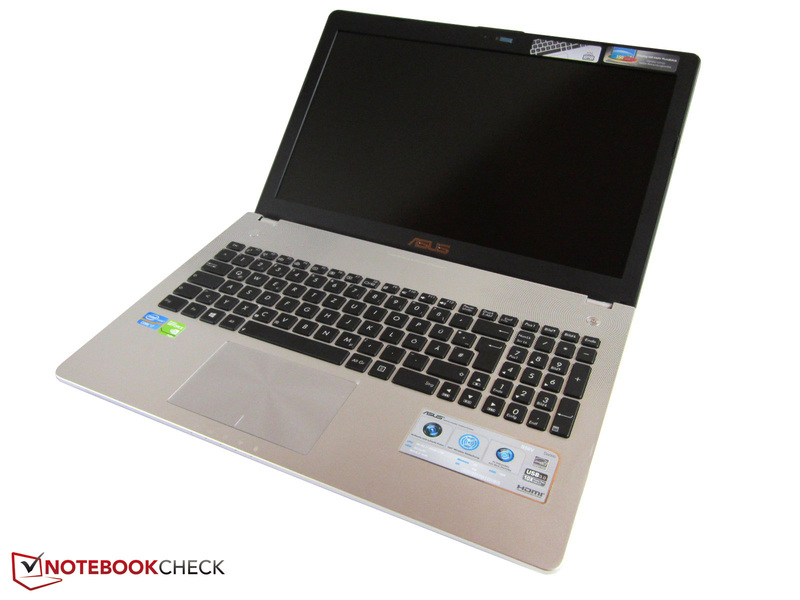 Asus has a high-end multimedia laptop in its range with the N56VB. The 750 GB HDD is underneath a metal frame. 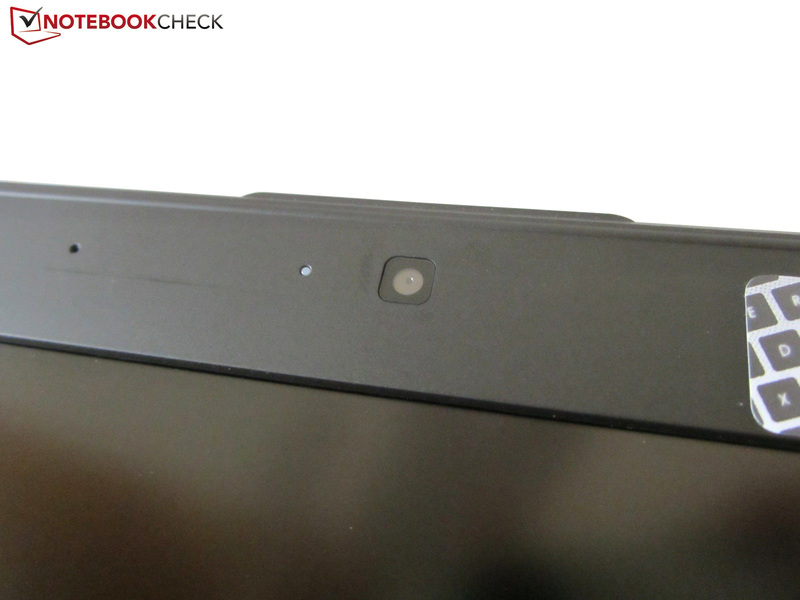 The webcam and integrated microphone (left edge) are seen here. The screen is to provide especially large viewing angles. The black keys nicely stand out from the rest of the top. 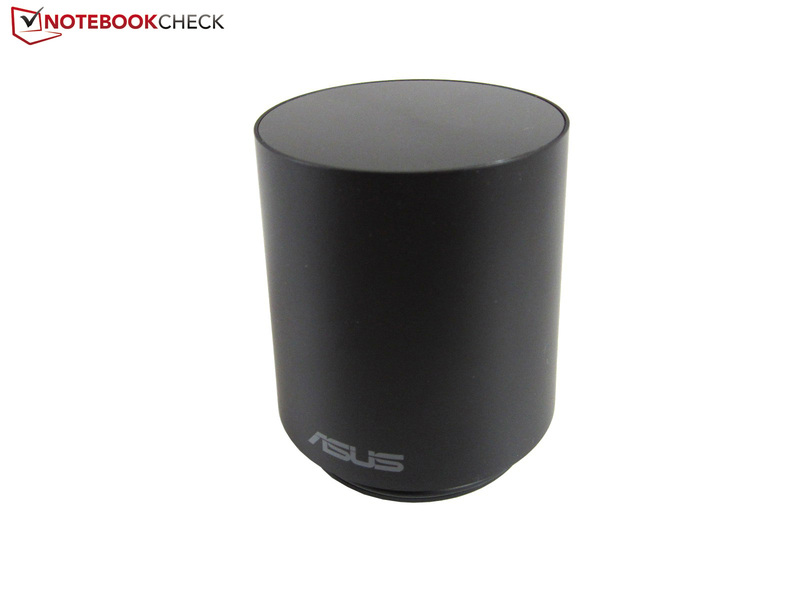 Asus places high importance on good sound. Small details like the wave pattern provide a coherent, overall picture. 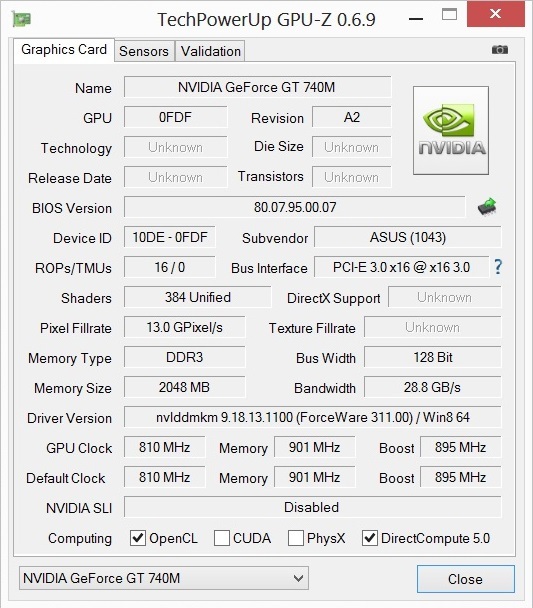 NVidia's GeForce GT 740M only convinces to an extent. The number pad's key width is reduced. Most components come from the midrange. The touchpad is generously sized. Four USB 3.0 ports are impressive. 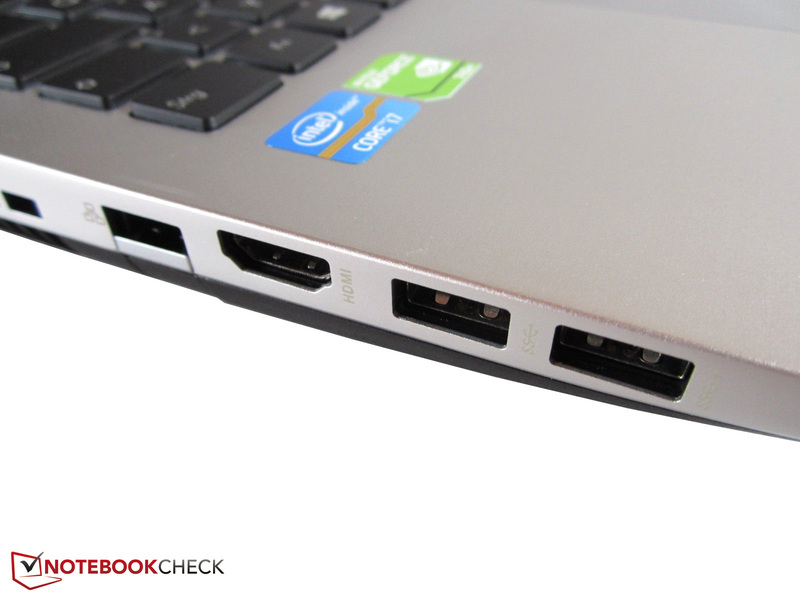 Asus distributes the ports on the left and right. The subwoofer socket is located beside the VGA port. It is inconvenient that the RJ-45 Gigabit LAN port is a foldout model. A card reader completes the total package. There is no recovery DVD. We would say 56 Wh are decent. The battery can be removed quickly. the black aluminum lid features a brushed finish. The 15-incher weighs approx. 2.7 kilograms with its battery. The screws are found beneath glued rubber protectors. The casing has a height of almost 3.5 centimeters. The maximum opening angle is 140°. The build hardly gives reason for complaint. 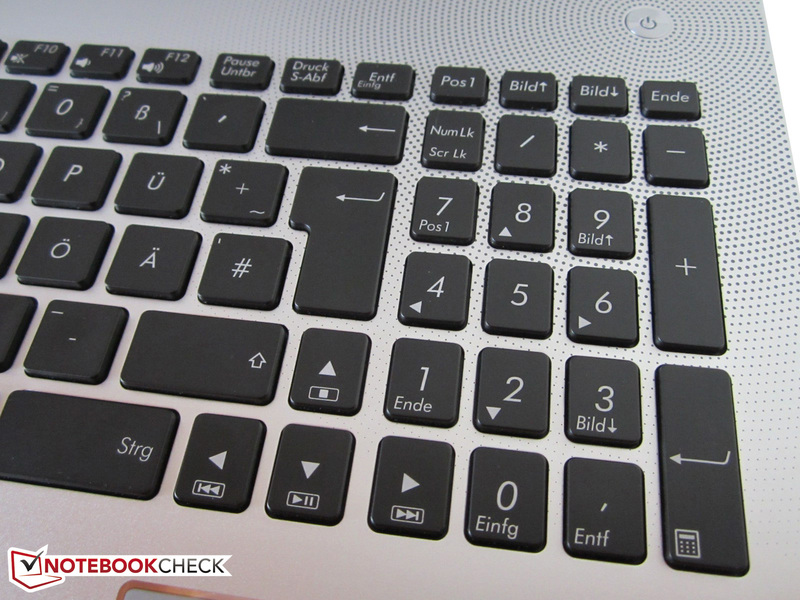 The chiclet keyboard's backlight is white. 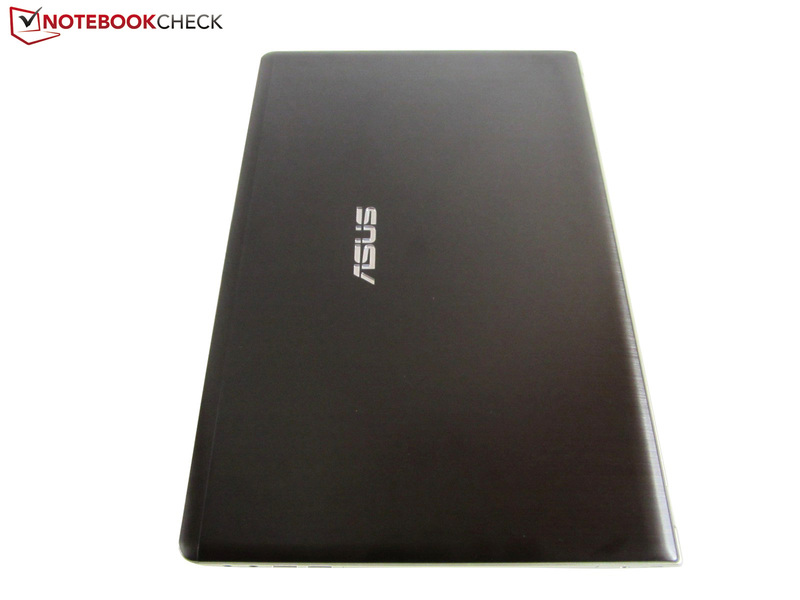 Asus relies on matte surfaces. The noise and temperature development are acceptable. The device's looks don't give much reason for reproach. A few components are easy to access. The fan is located in the left area. The right is dominated by the optical drive. The base is made of plastic as expected. Hard drive and memory can be replaced quite easily. 8 GB of DDR3 RAM should be enough for the next few years. The included 120 Wh power adapter is relatively slim. Such a bright TN screen is a rare thing. The speakers' sound is definitely a treat for the ears. 15-inch all-round laptops featuring a good screen, such as Acer's Aspire V3-571G, Samsung's Series 7 Chronos 770Z5E (review coming soon) or Sony's Vaio SV-S1511X9E/B.